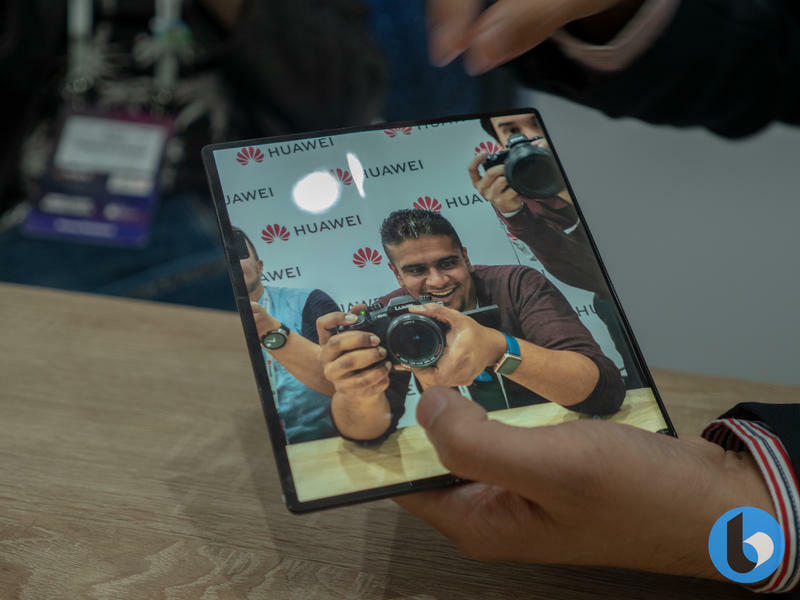 From 5G to foldables, and everything in between, MWC 2019 has played host to lots of innovation. 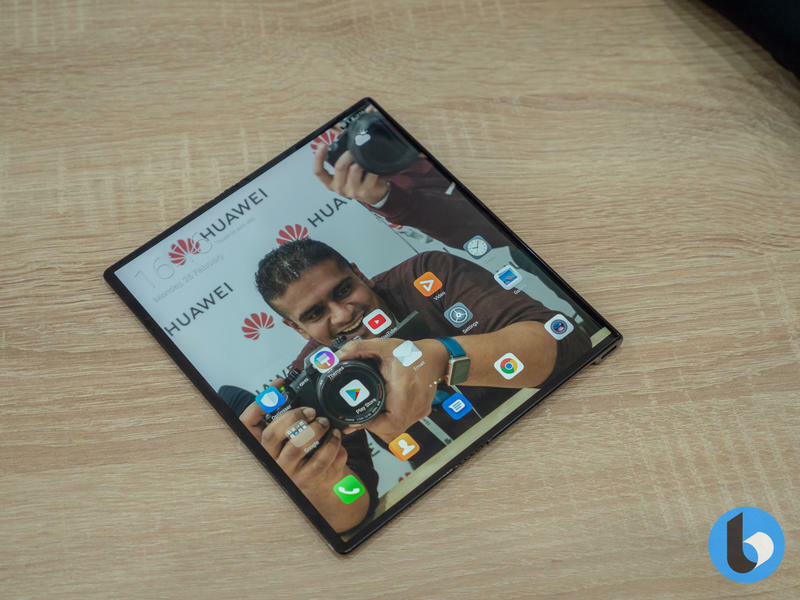 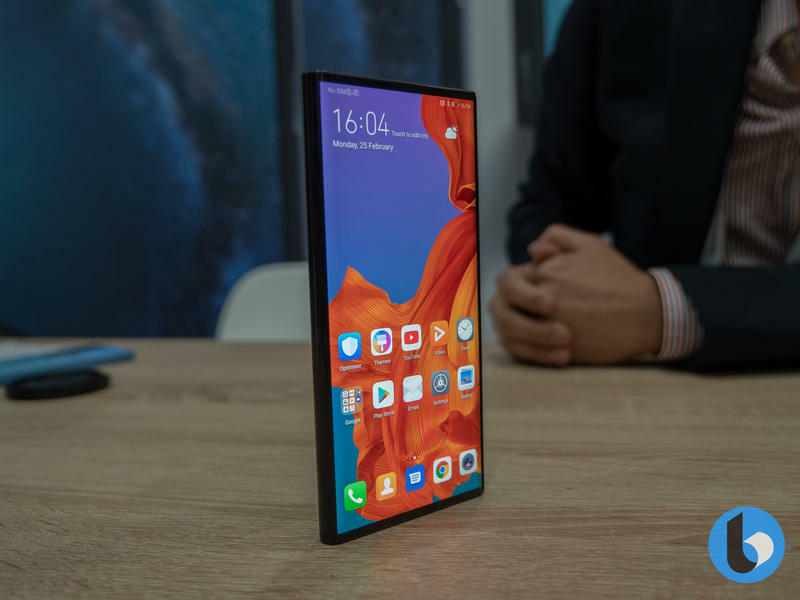 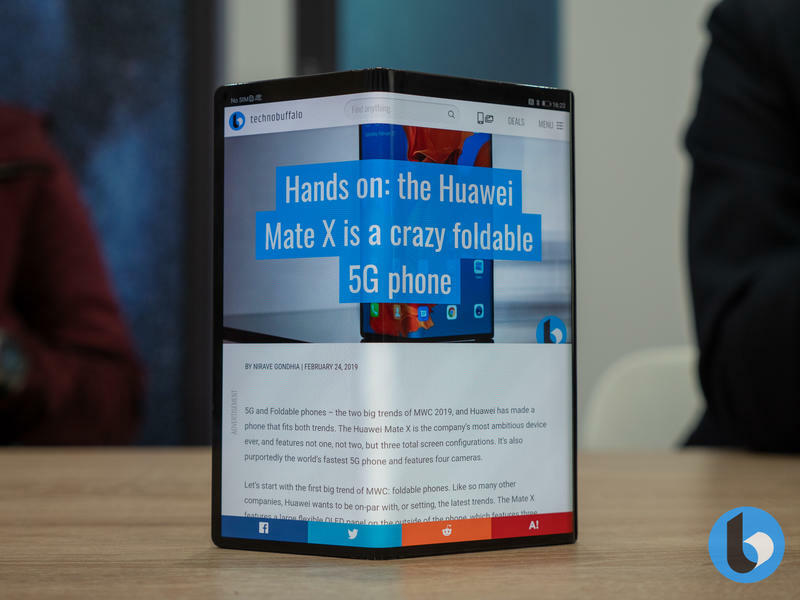 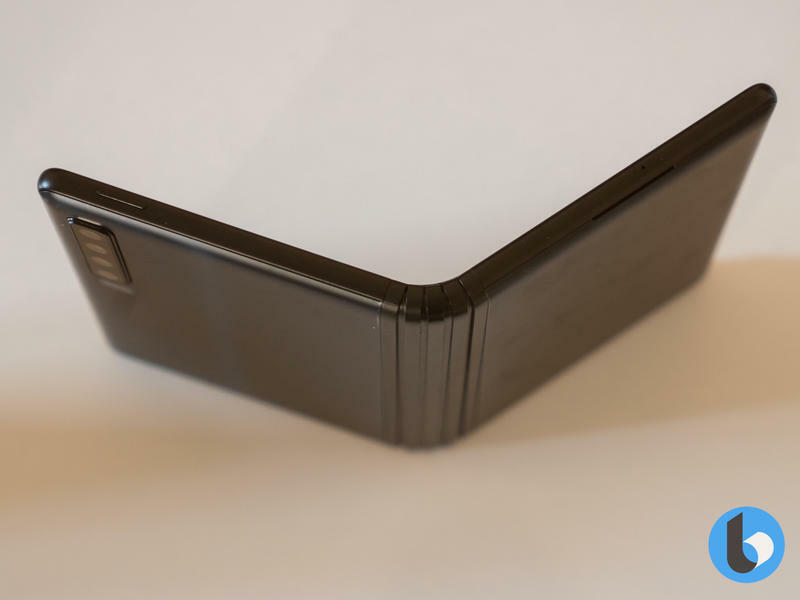 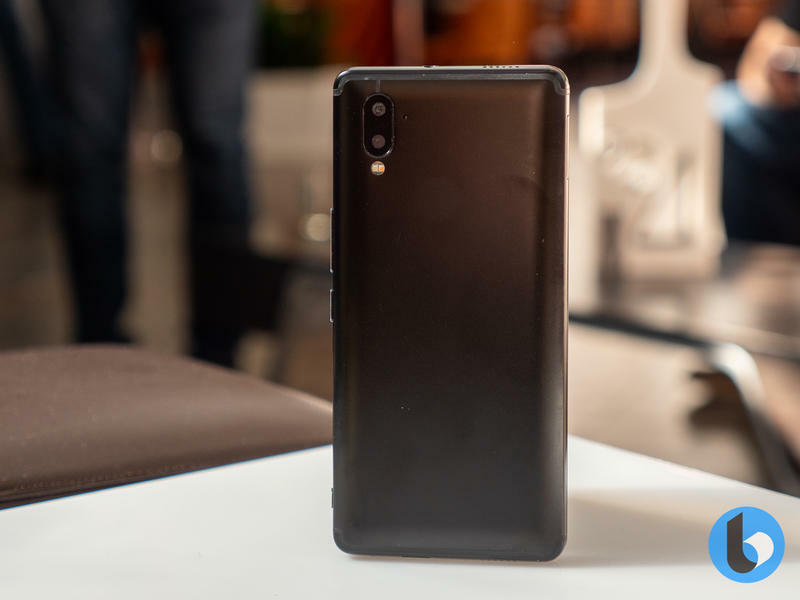 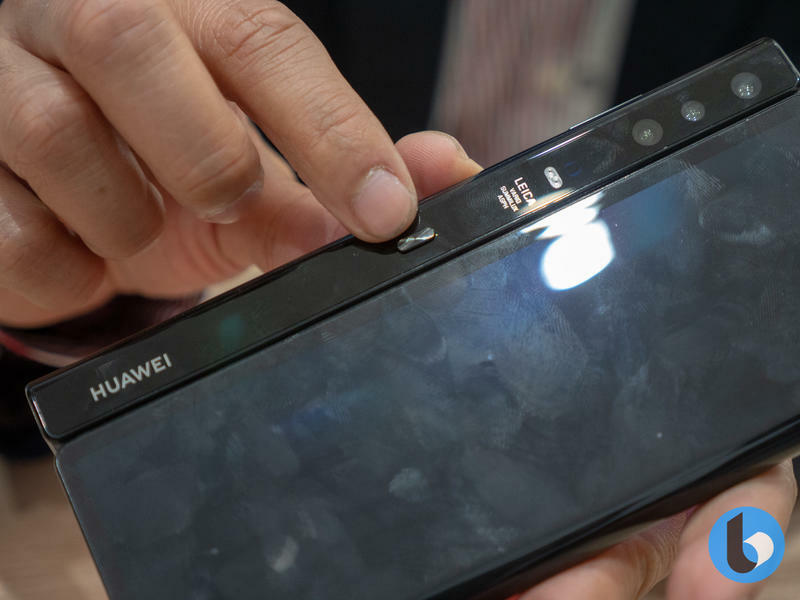 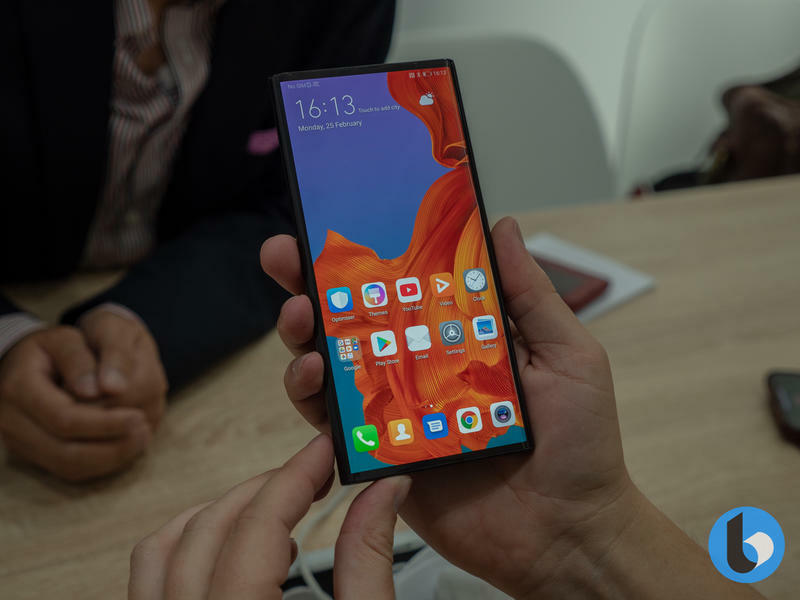 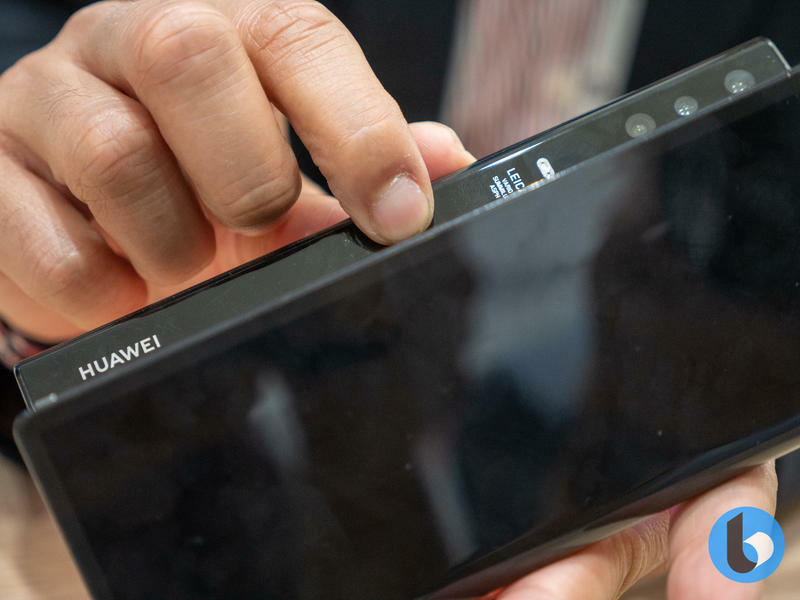 Huawei delivered its entrance into the foldable market in a big way – including dominating advertizing throughout the Catalan city – while Nokia made the world's first five camera smartphone. 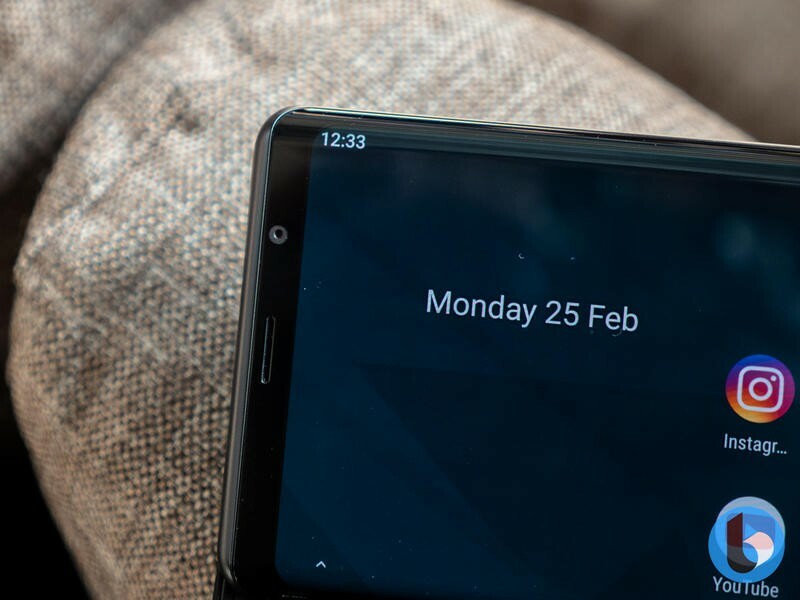 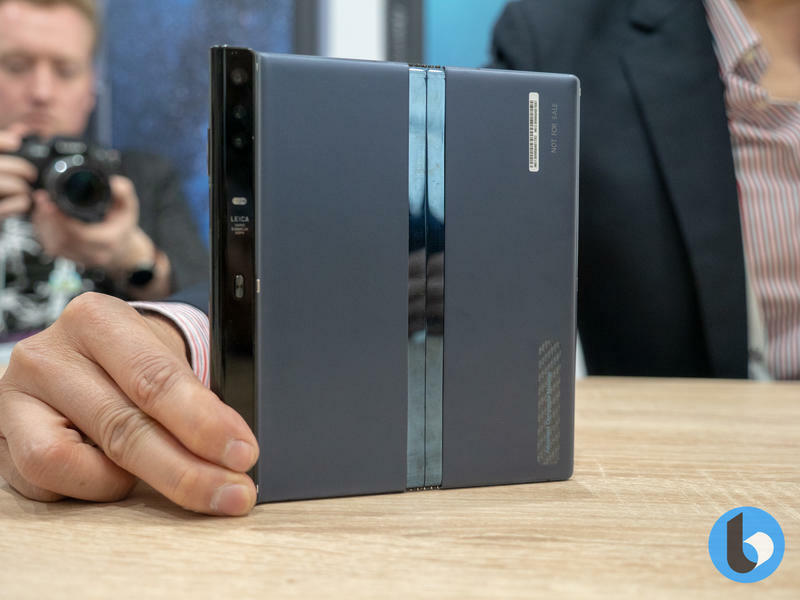 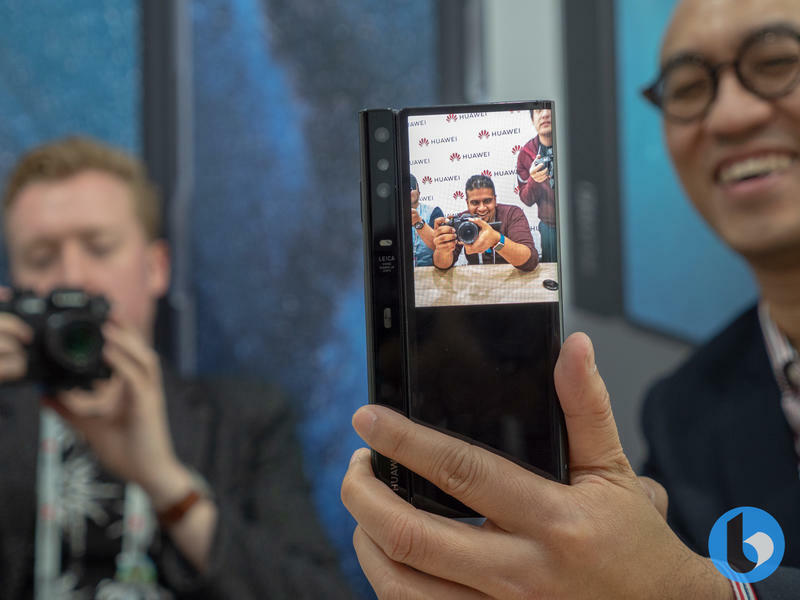 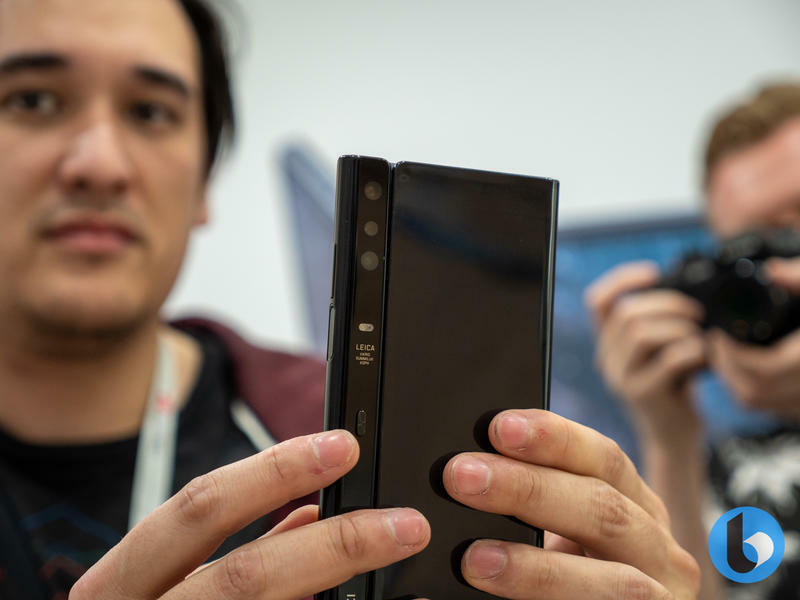 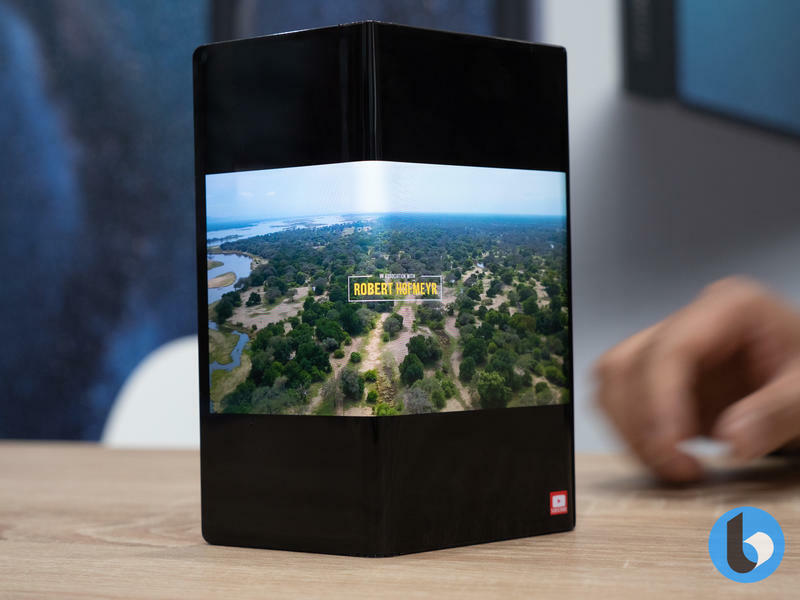 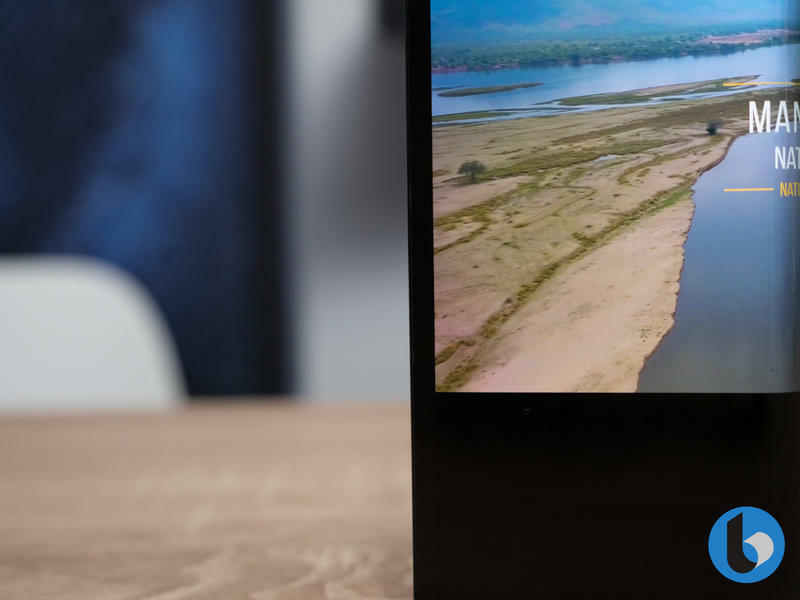 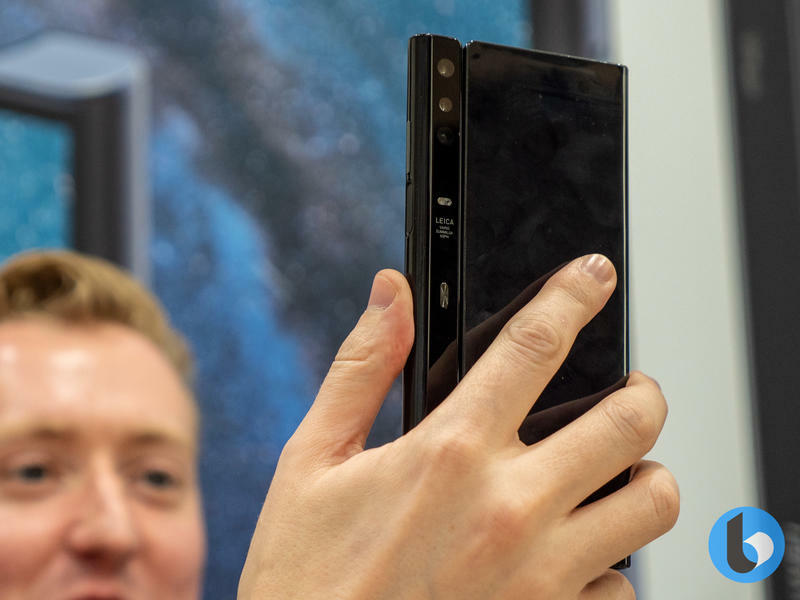 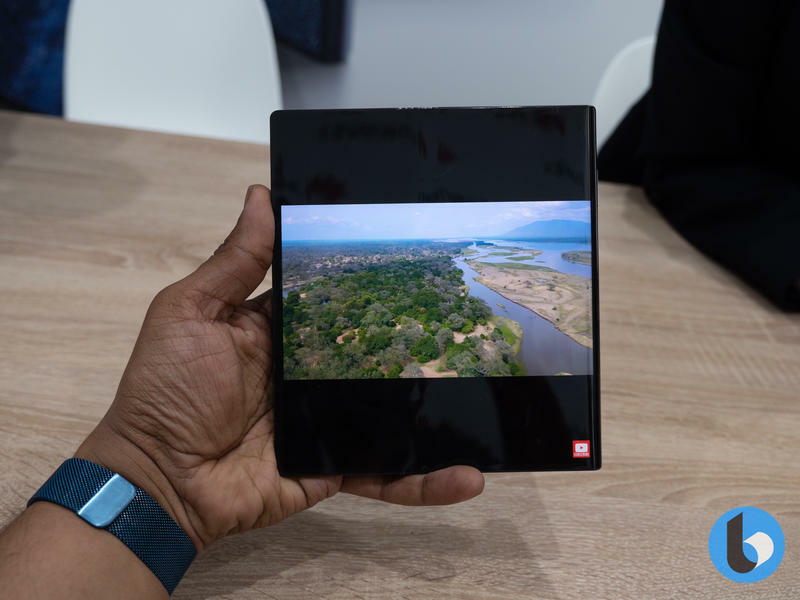 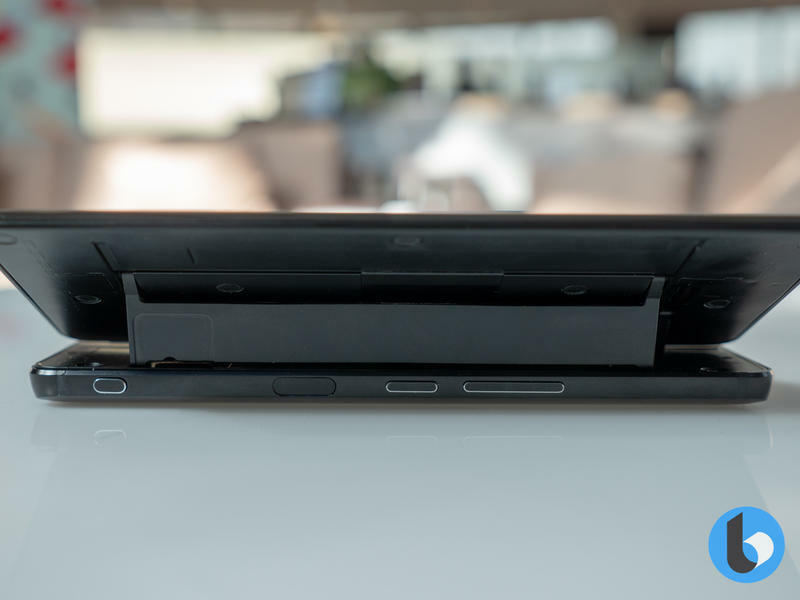 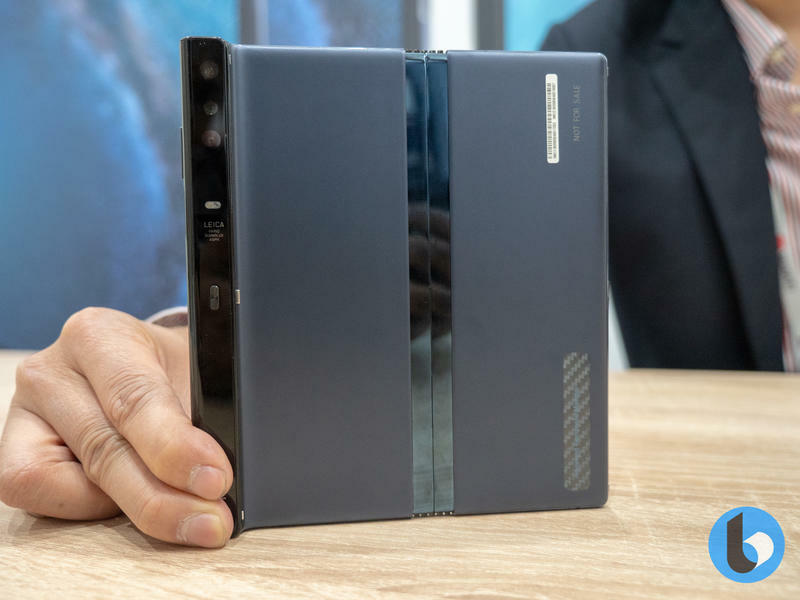 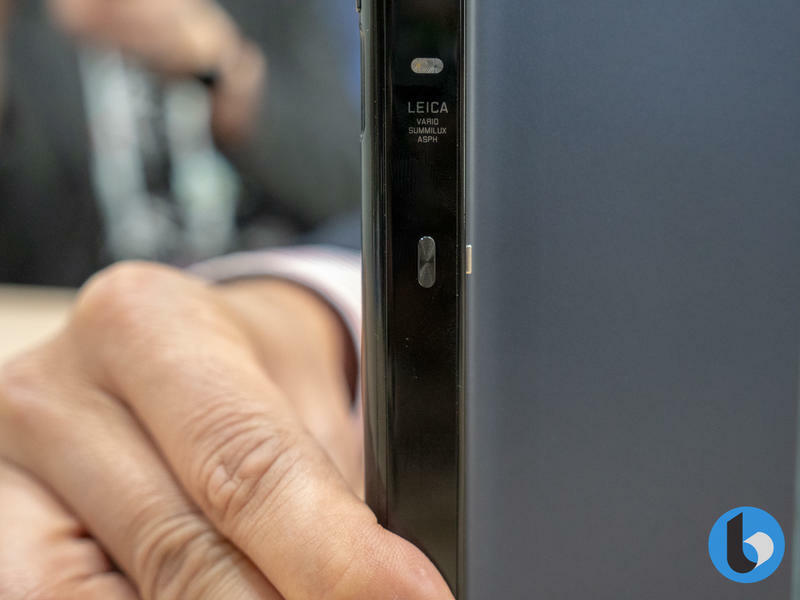 Sony made a 4K HDR OLED smartphone with the unique 21:9 aspect ratio, Samsung showed off its foldable Galaxy Fold to the wider public, Lenovo made the perfect travel monitor and BlackBerry launched its flagship with a hot new paint job. 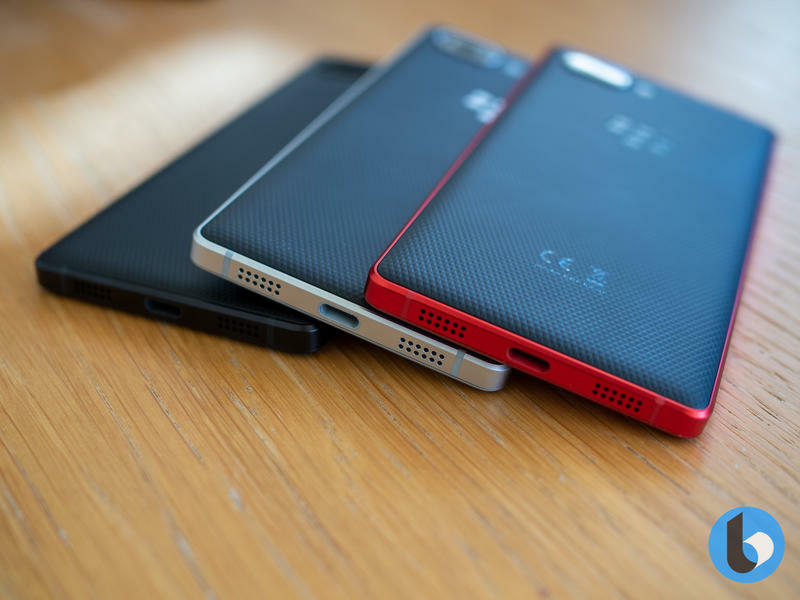 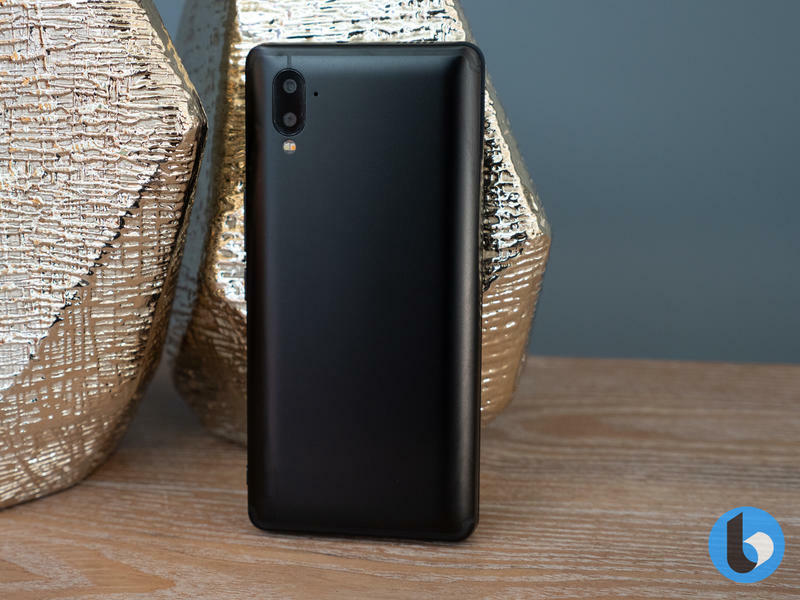 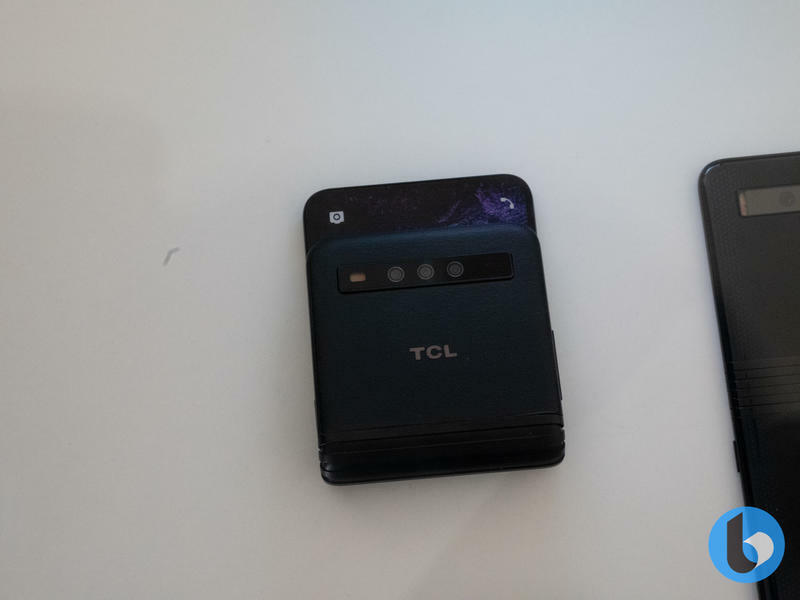 Beyond those, TCL surprised us all with some incredible innovation, and London-based startup F(x)tec bought back an iconic device with a modern twist. 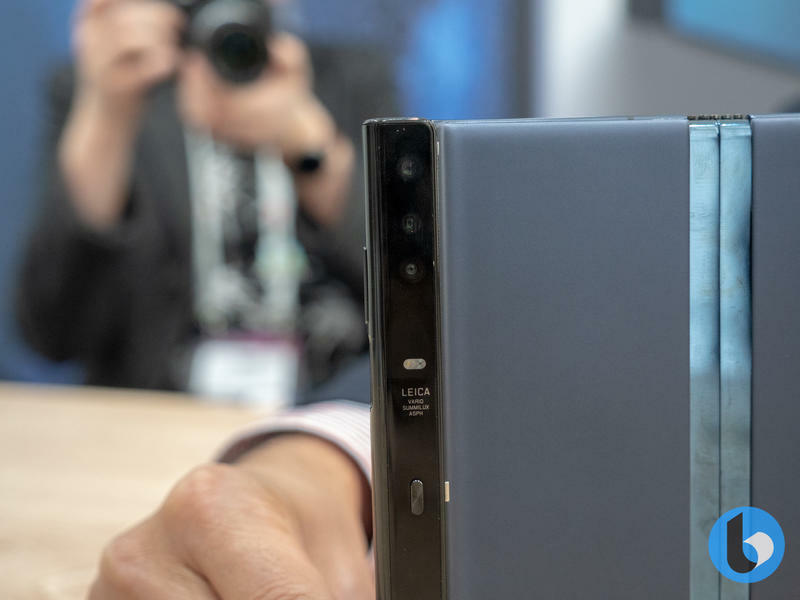 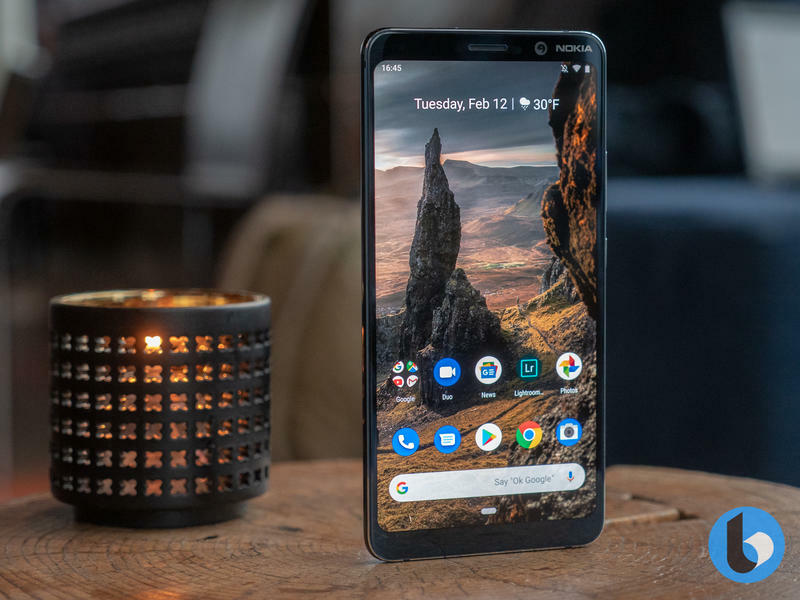 We've spent the last few days looking at the best that MWC 2019 and here's the products that stood out for us. 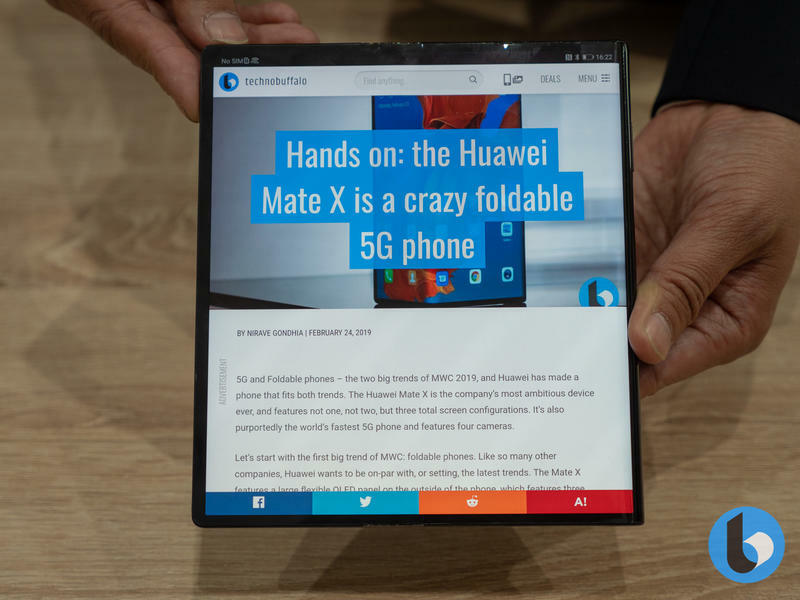 Let's kick things off with the product that stole the show – the Huawei Mate X. 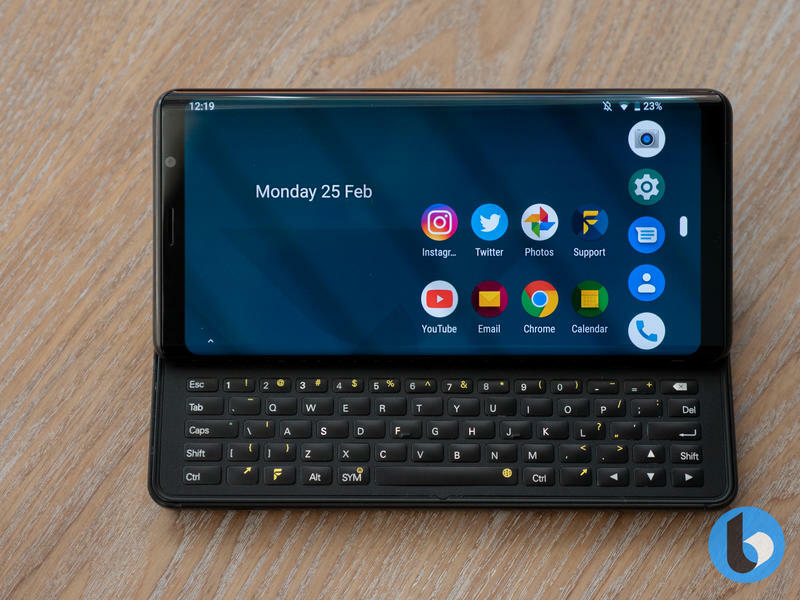 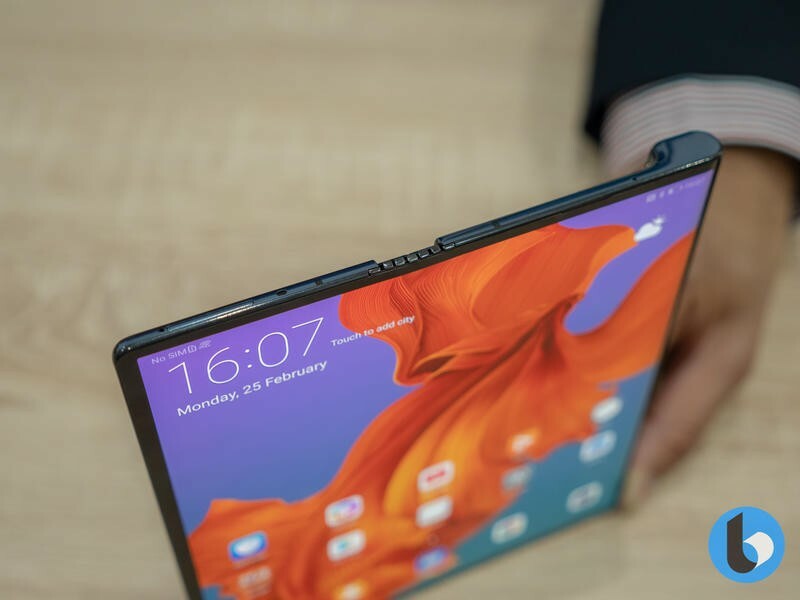 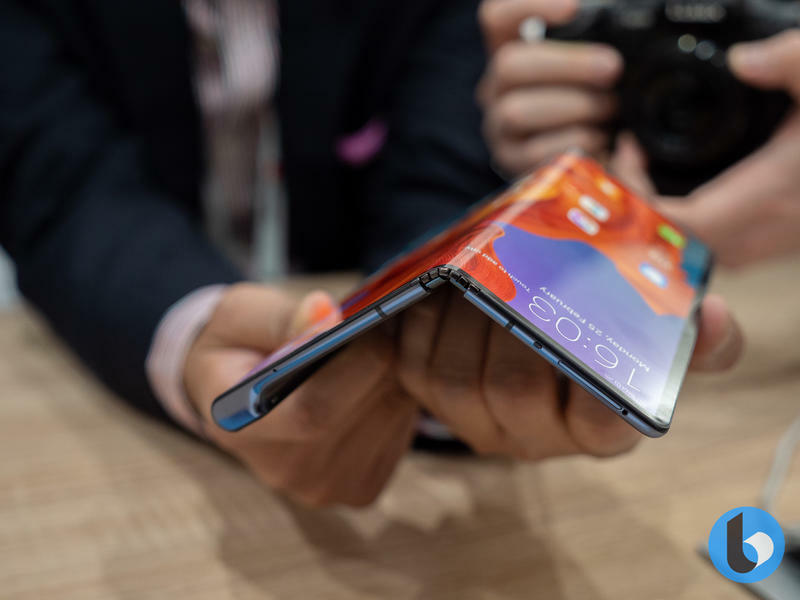 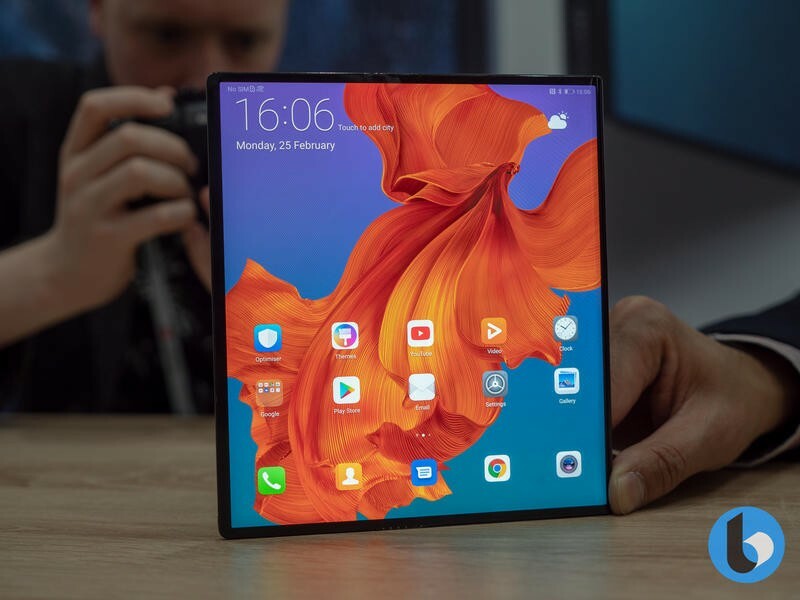 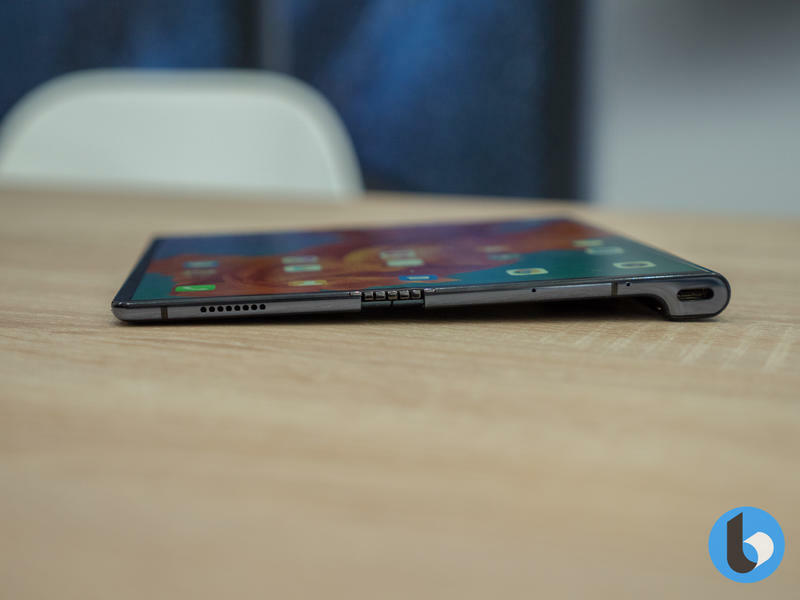 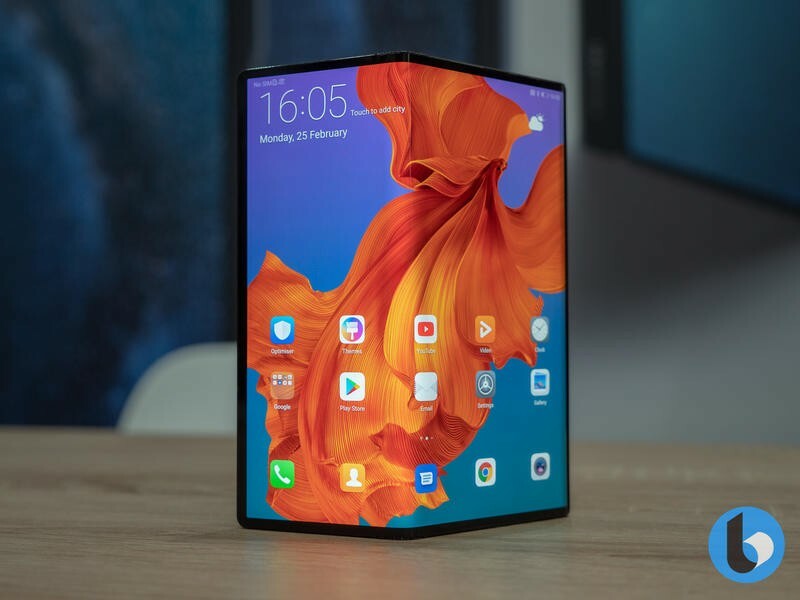 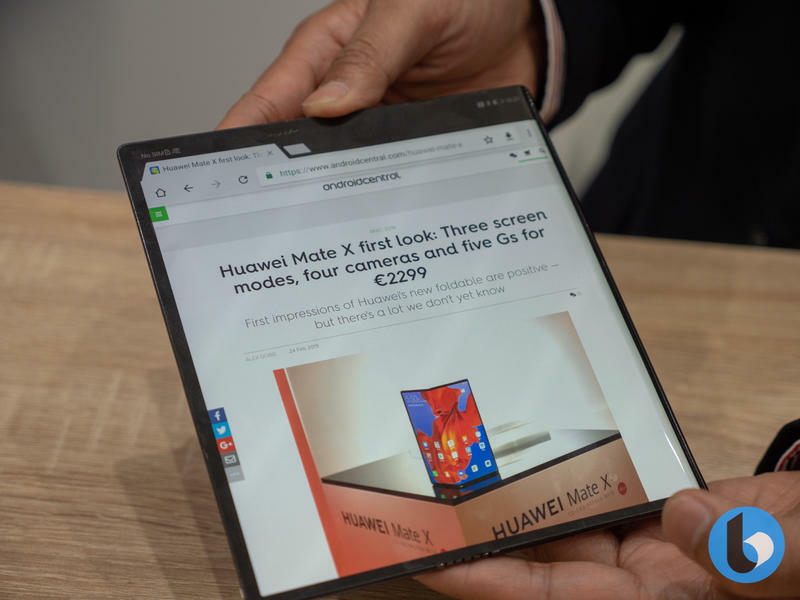 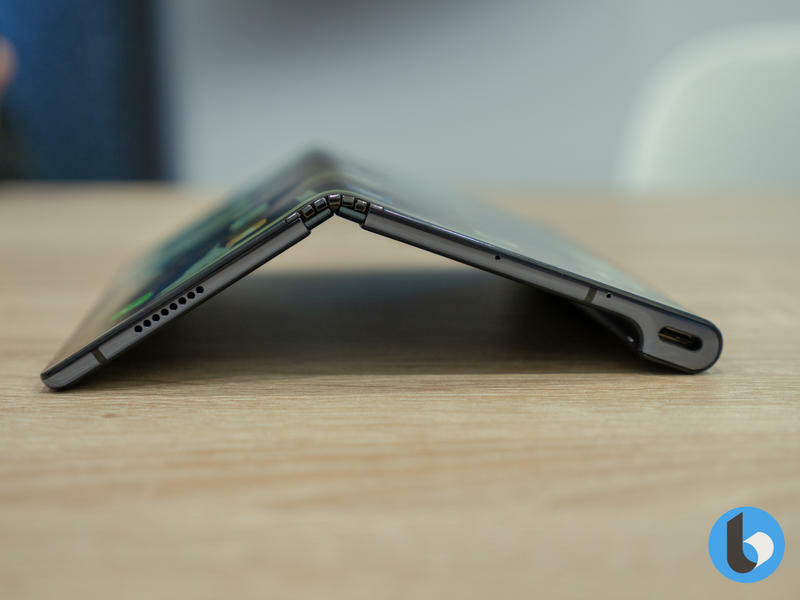 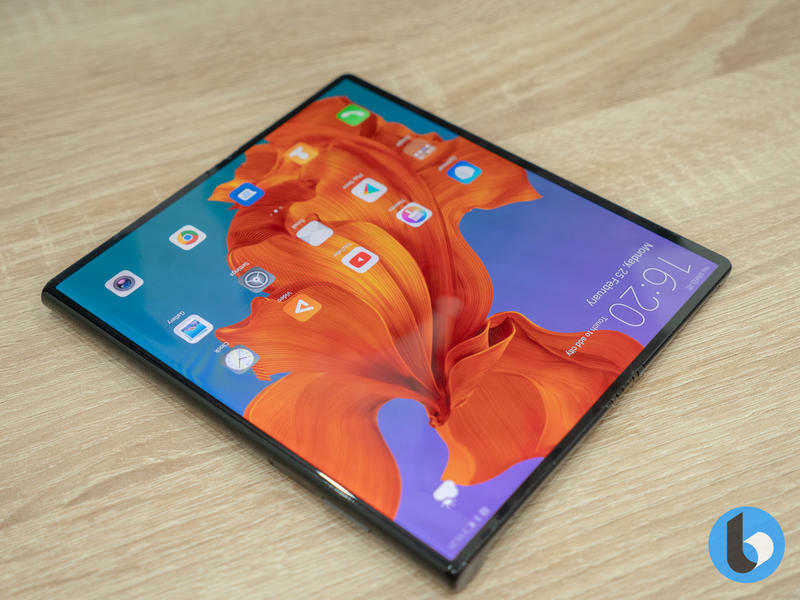 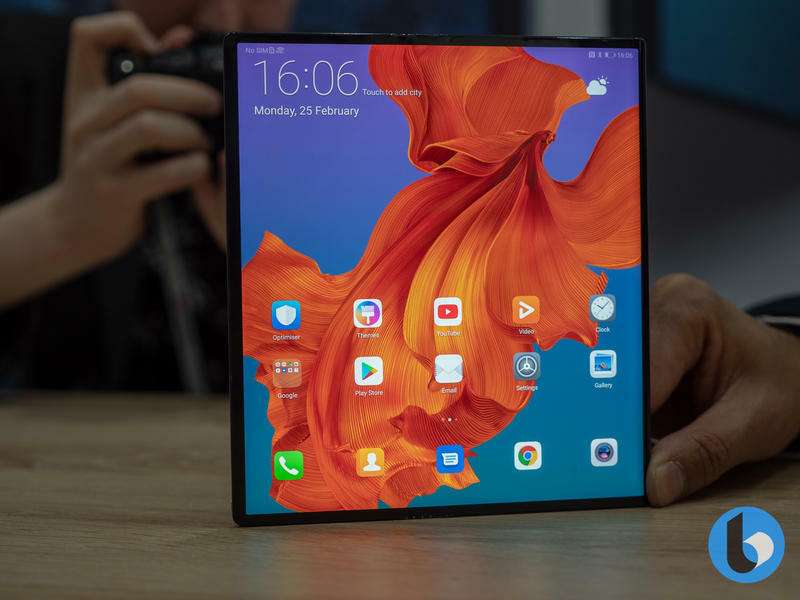 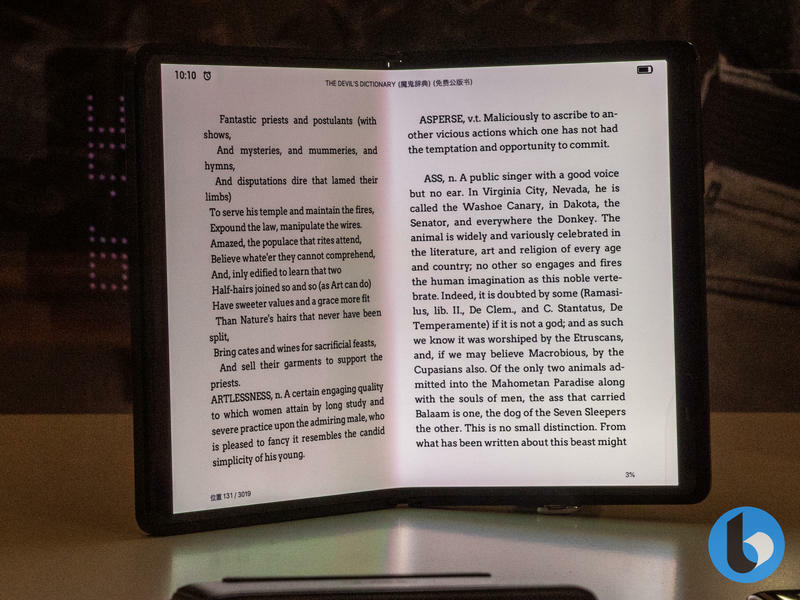 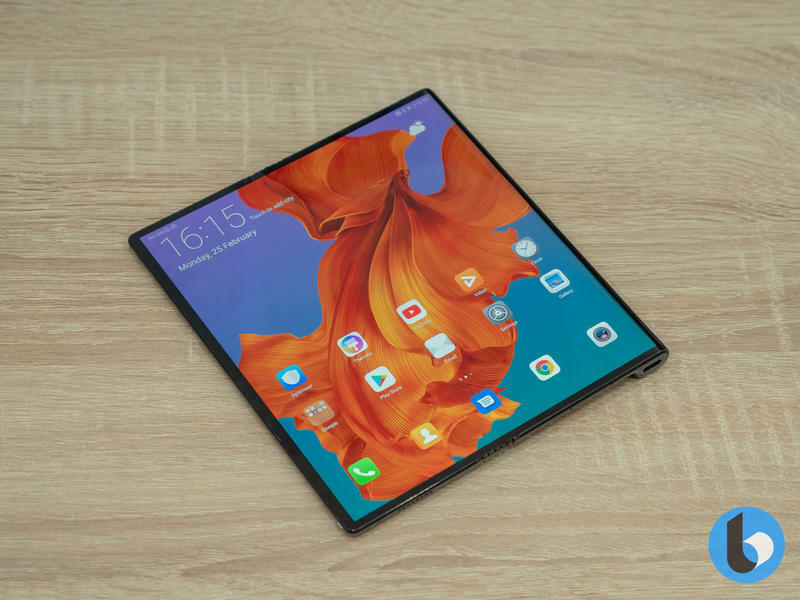 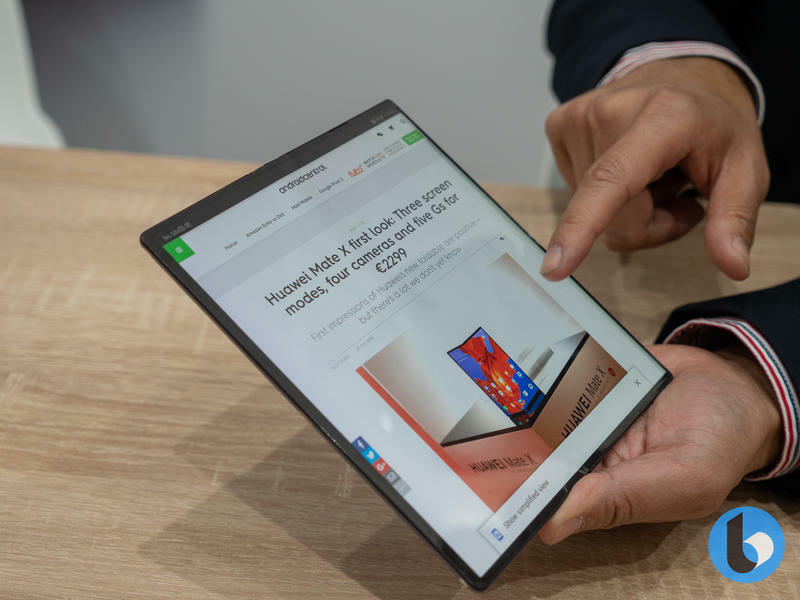 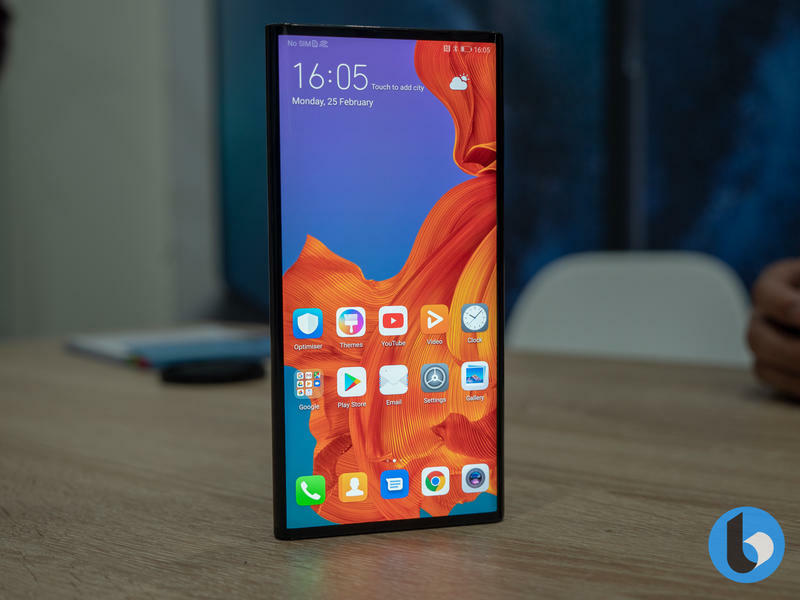 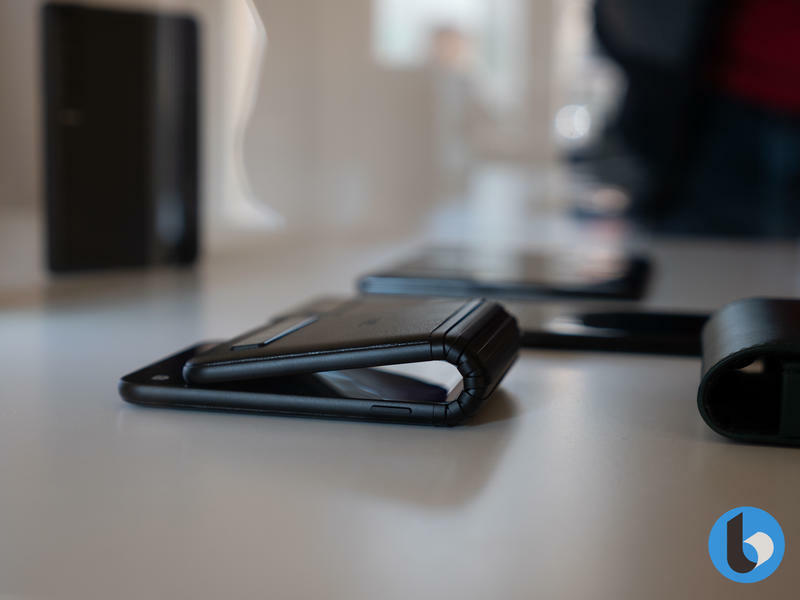 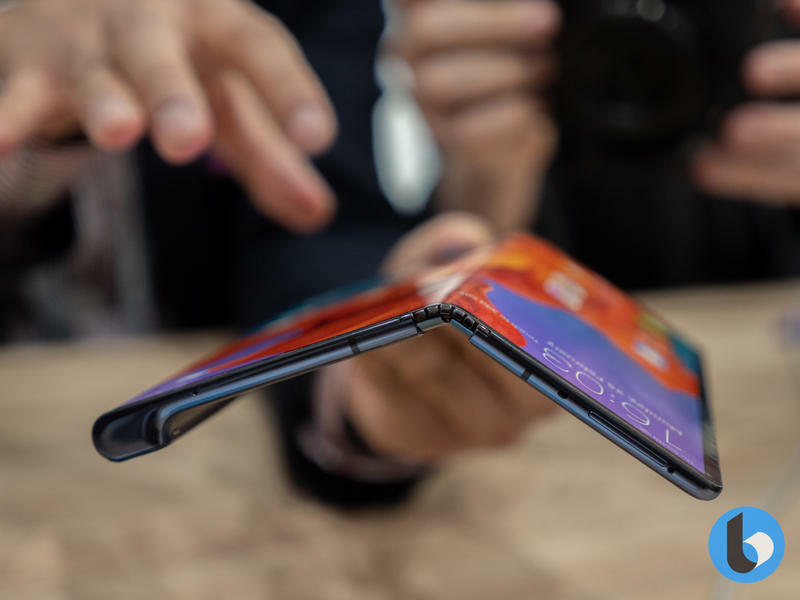 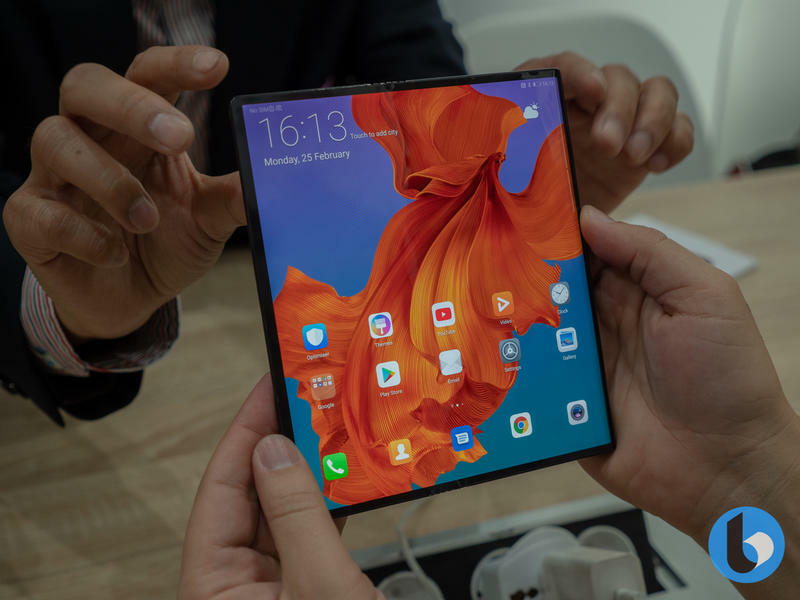 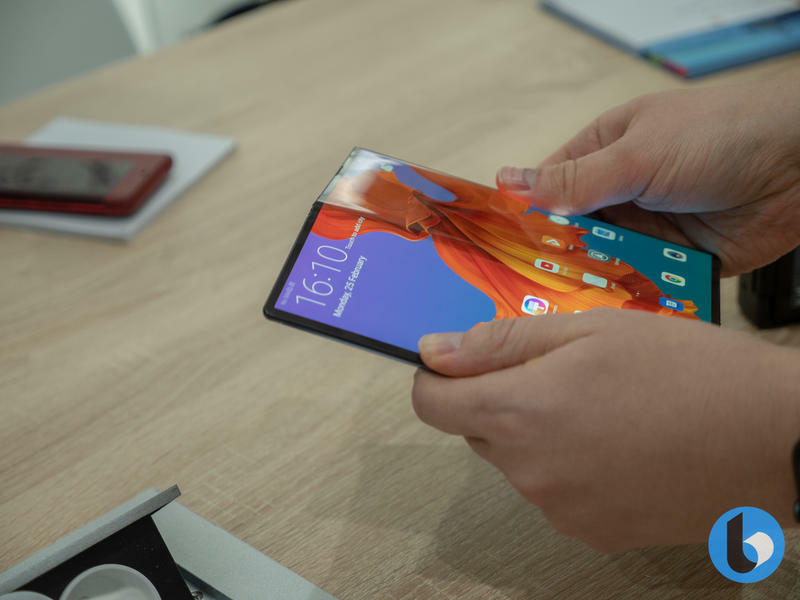 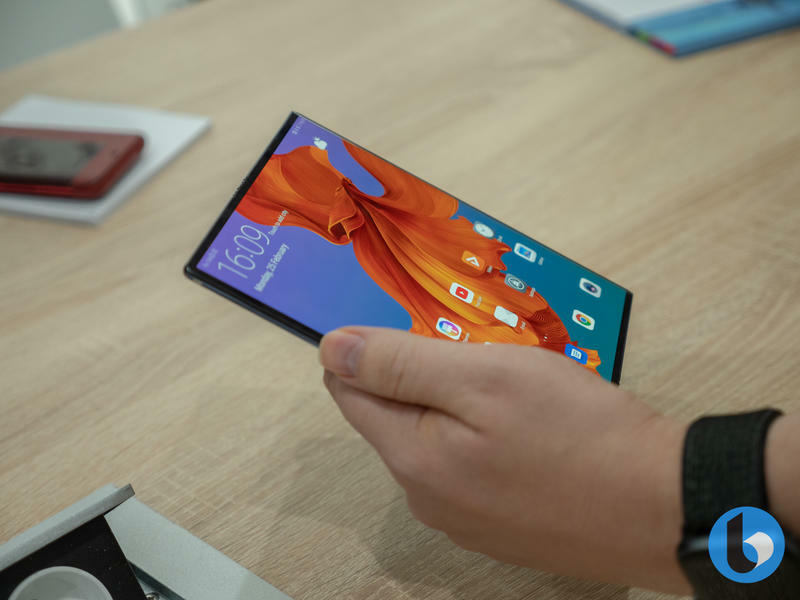 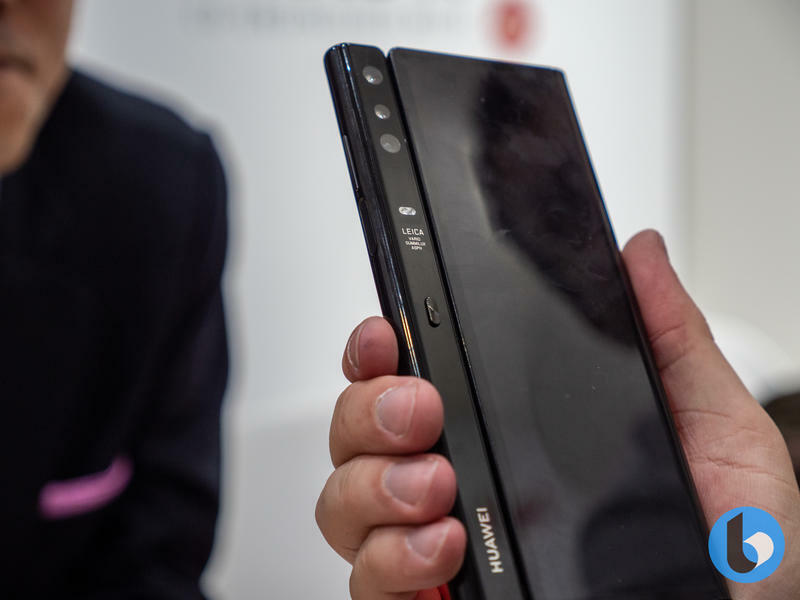 Shortly before MWC 2019, we saw Samsung launch its foldable, the Galaxy Fold, at Unpacked, but at MWC, Huawei bought us one of the biggest innovations in recent mobile history. 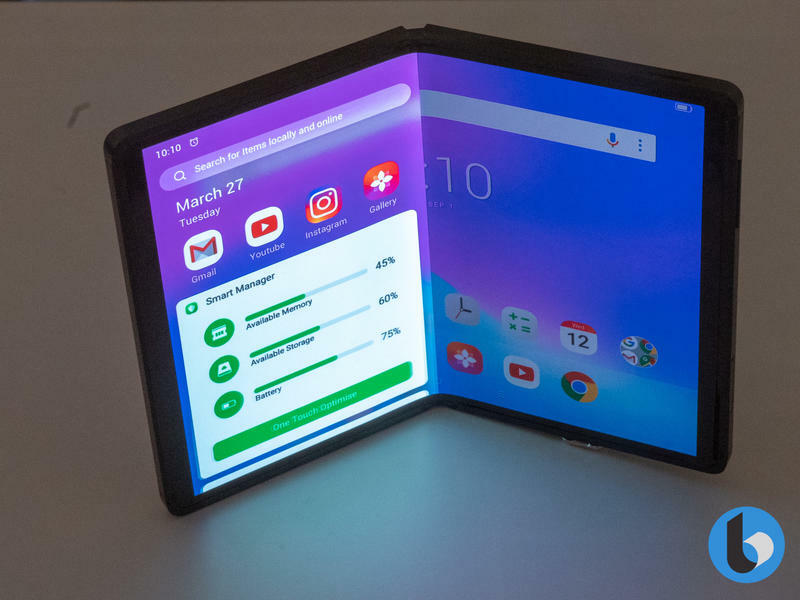 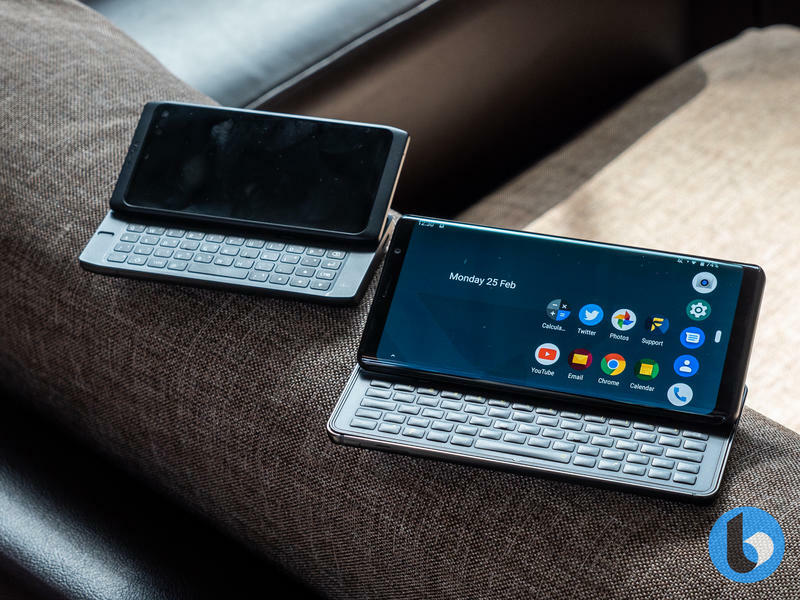 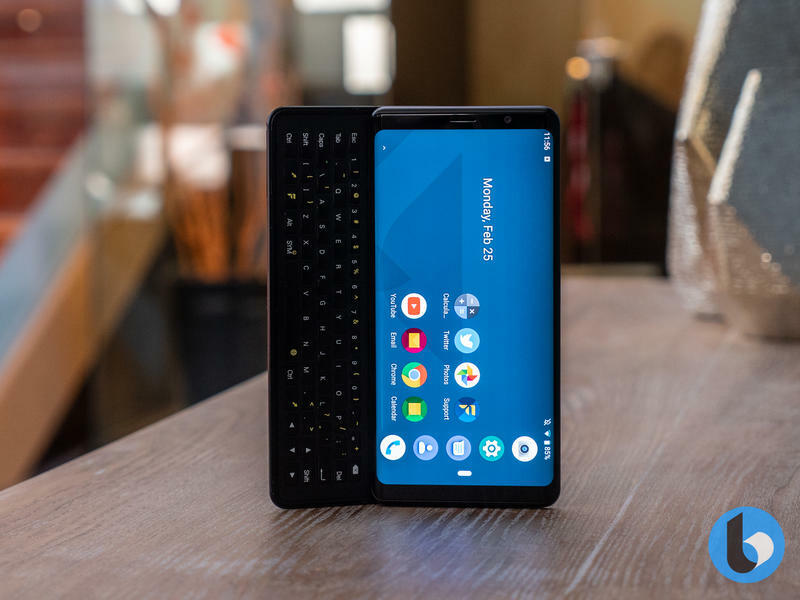 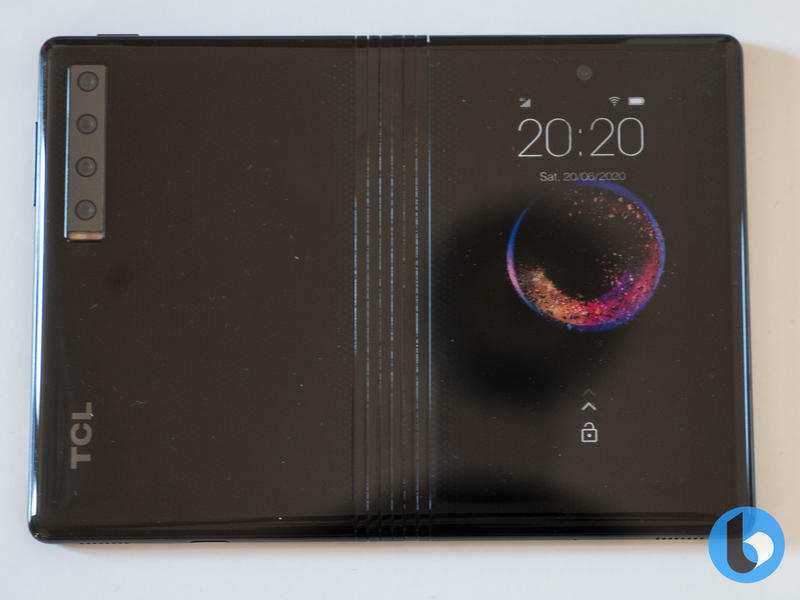 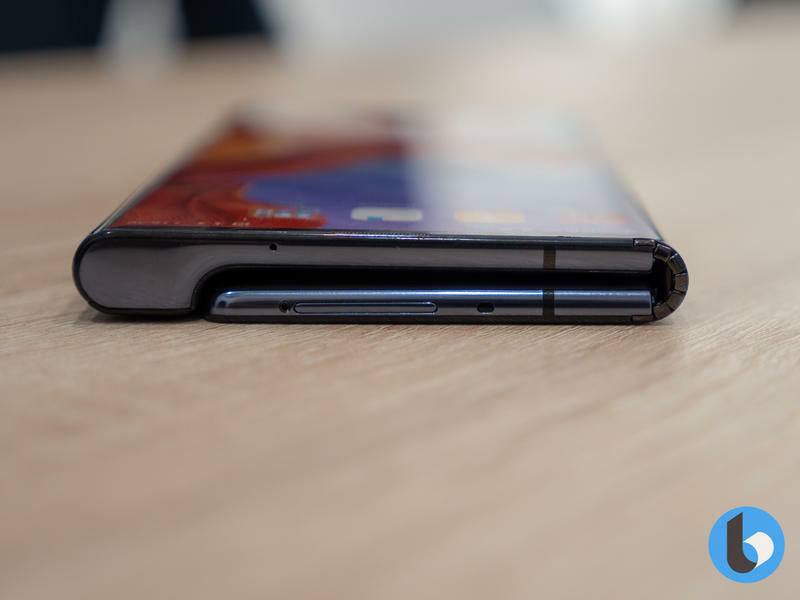 The perfectly opposite design to the Samsung Galaxy Fold, it features a design that folds around the outside and is a glimpse to what the future of phones is going to look like in the years to come. 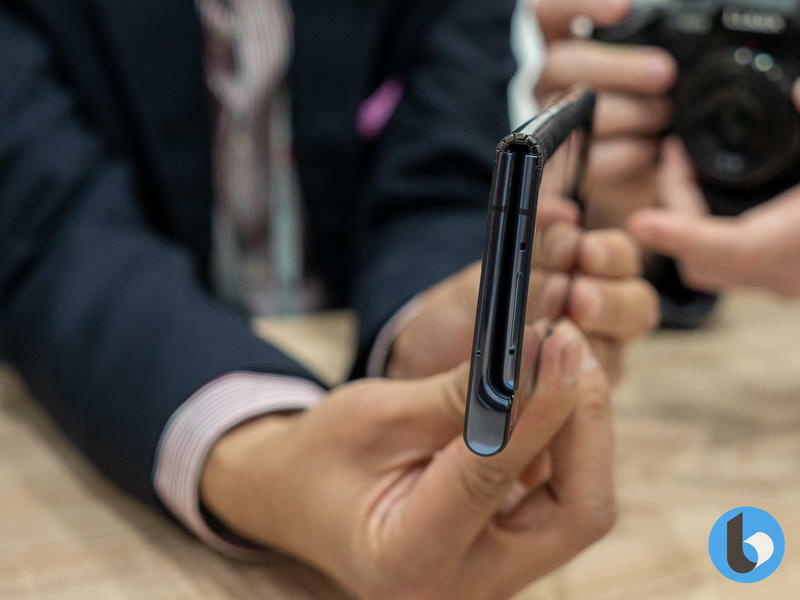 Samsung beat Huawei to the punch by a few days, and we finally got to see it (albeit not touch it) at MWC. 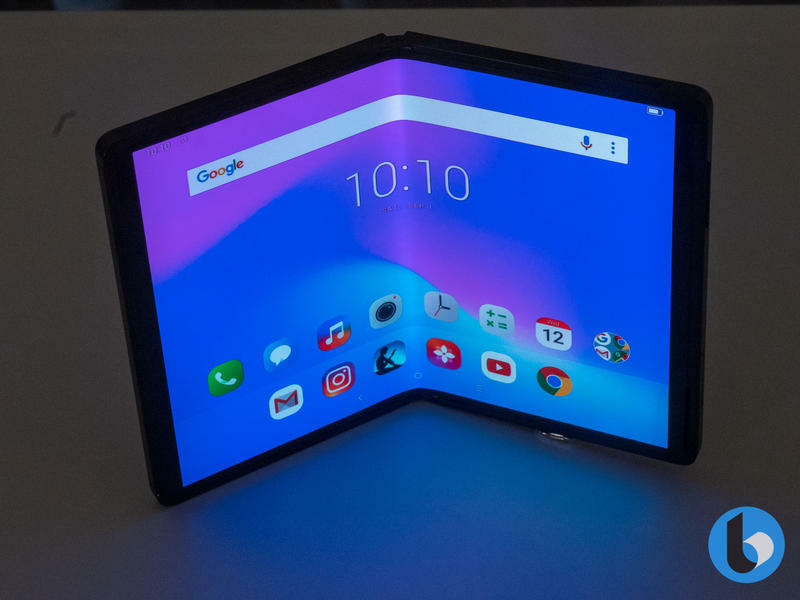 Samsung's foldable is likely to be the future of foldable devices that many folks imagine, and even with a $1,980 price tag, it was one of the stars of the show. 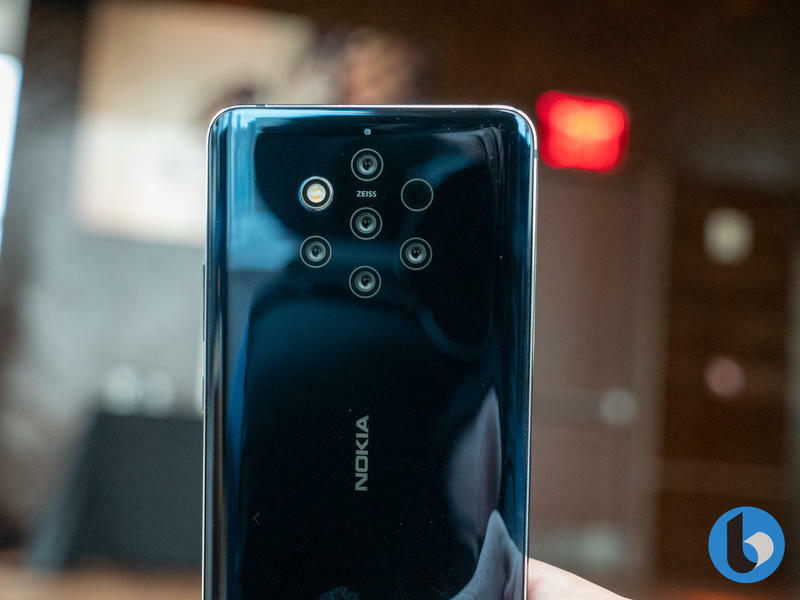 How do you beat the competition where three cameras is the norm? 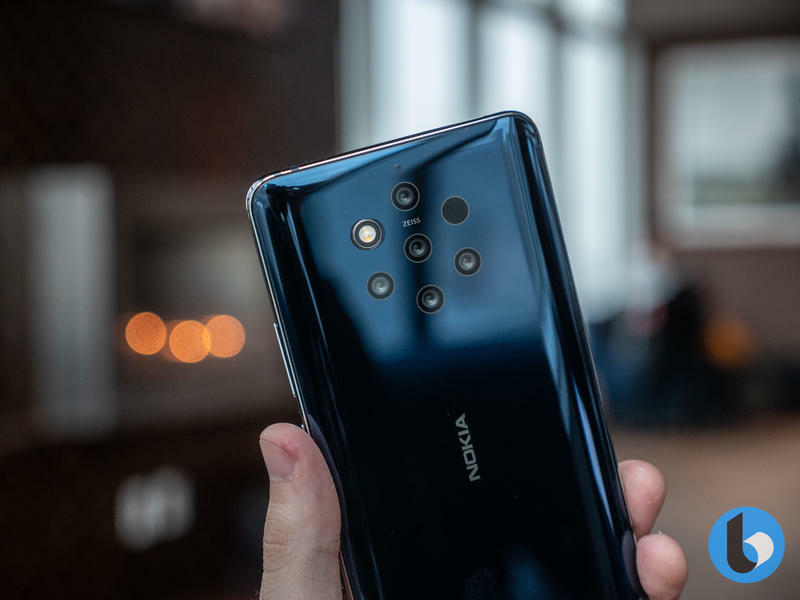 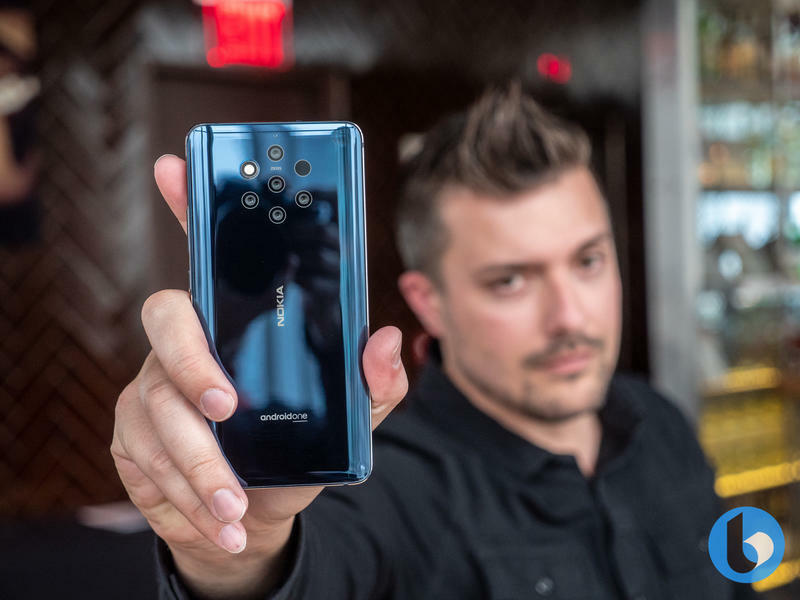 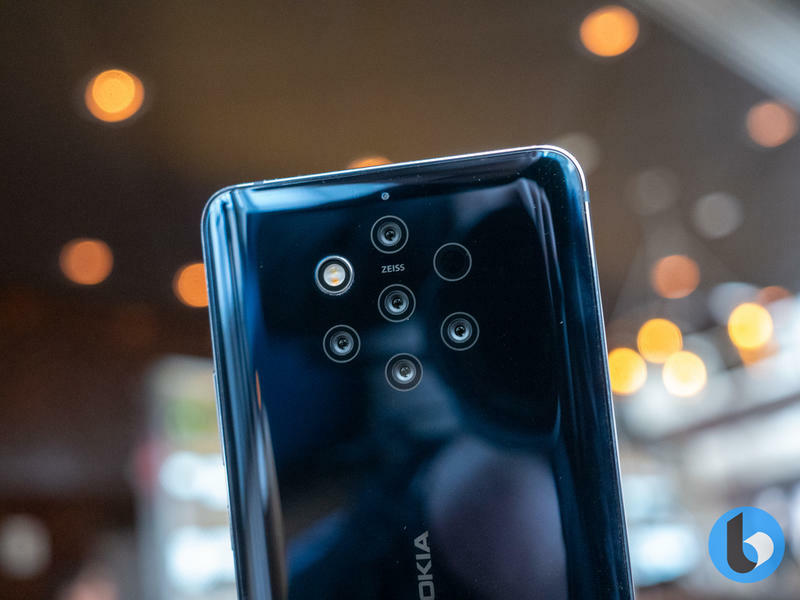 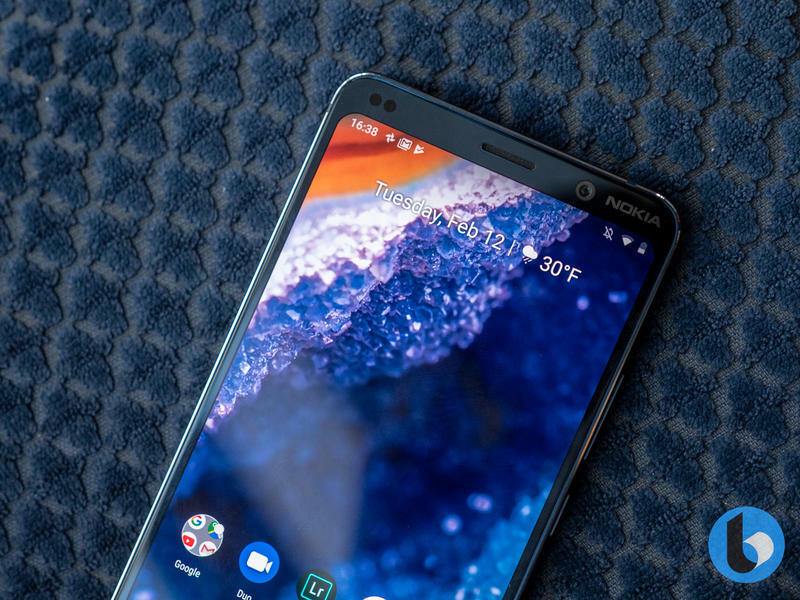 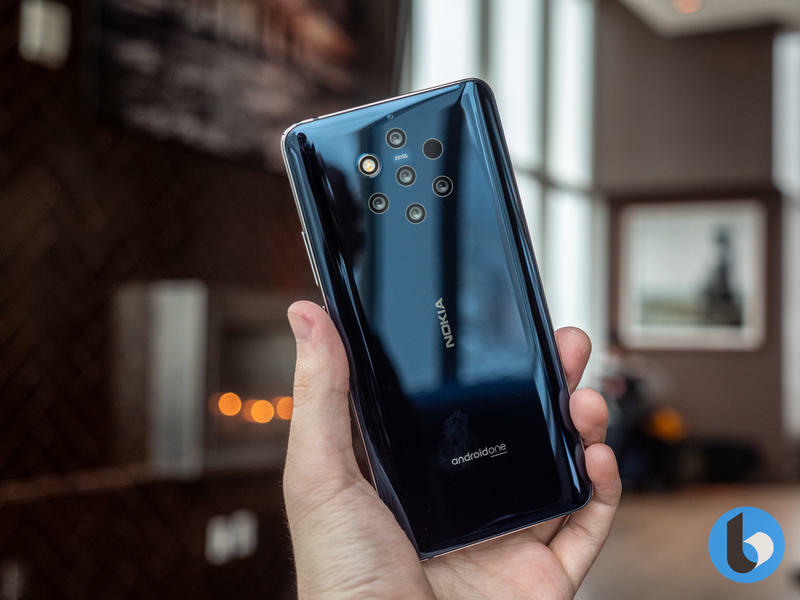 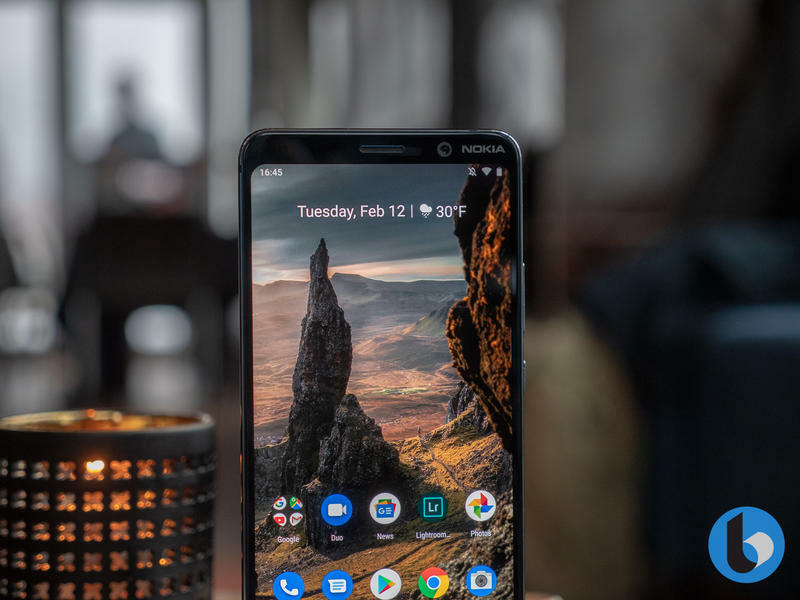 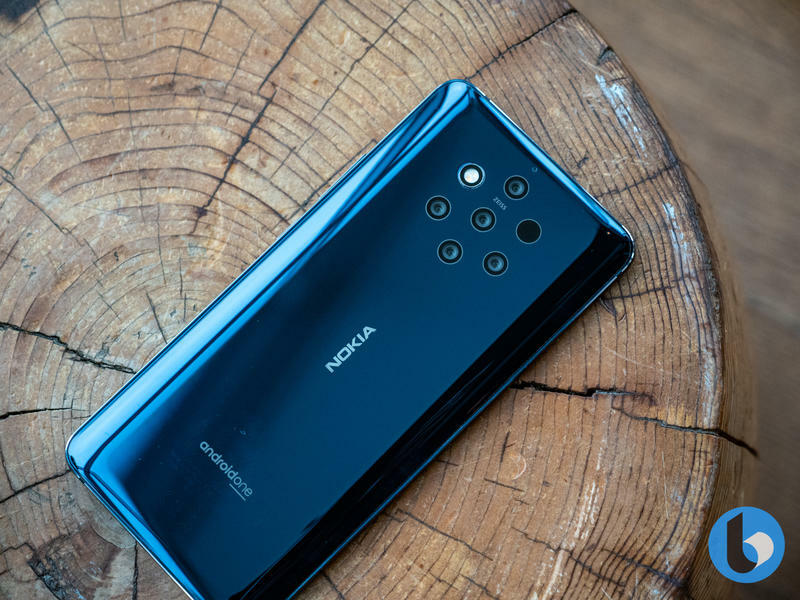 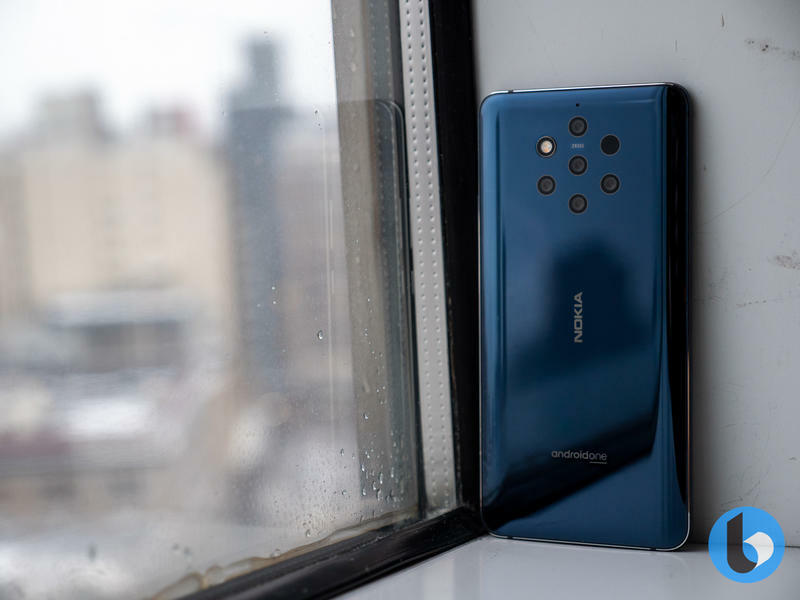 Nokia decided to put FIVE of them on one phone, and at the same time, reinvent what portrait photography and depth sensing really means. 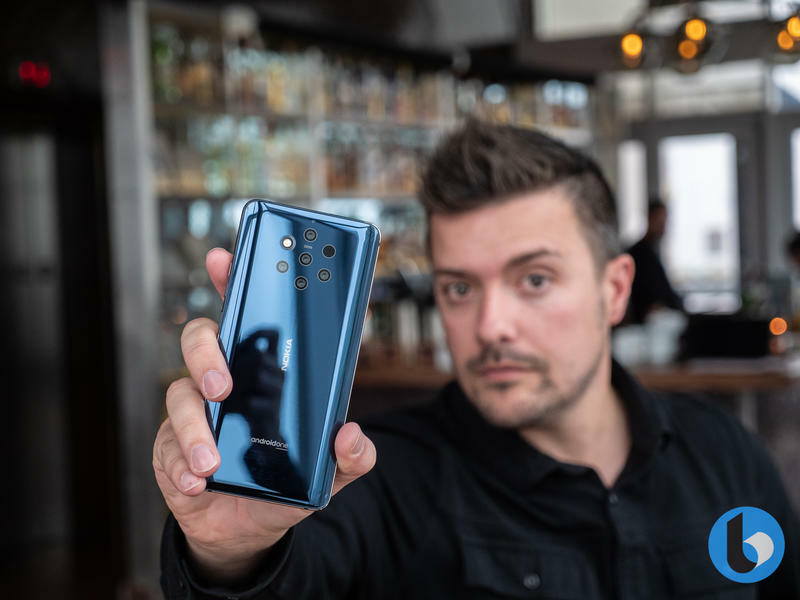 This phone shows a new focus on key areas of photography, and combines five cameras with beautiful hardware. 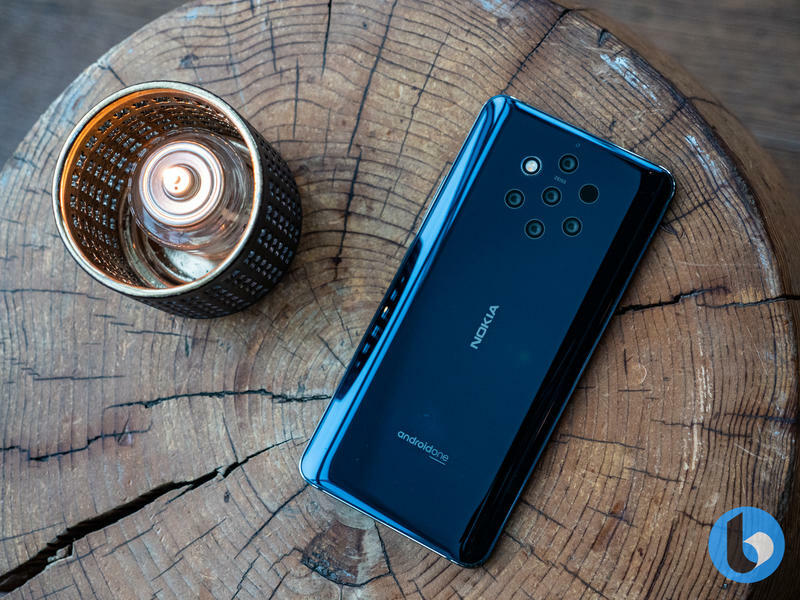 It's certainly not for everyone, but we can't wait to try these cameras out further. 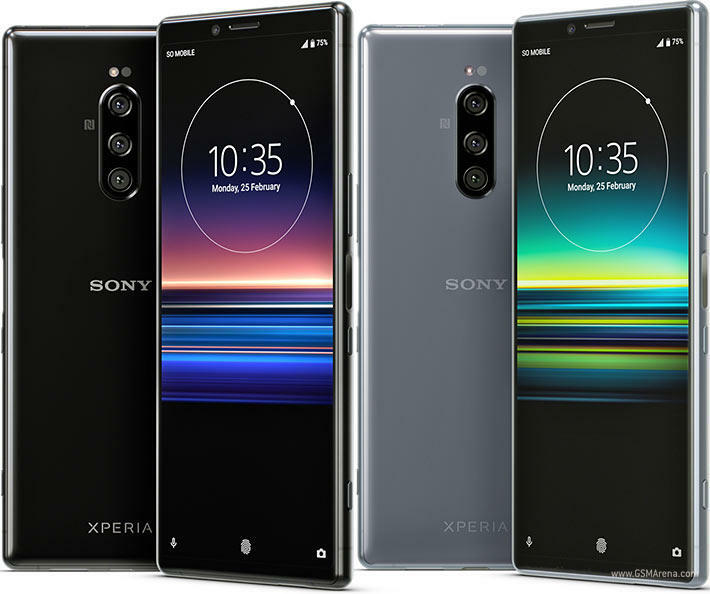 Sony has finally broken out of its mold of previous years and delivered a handset that truly wows us. 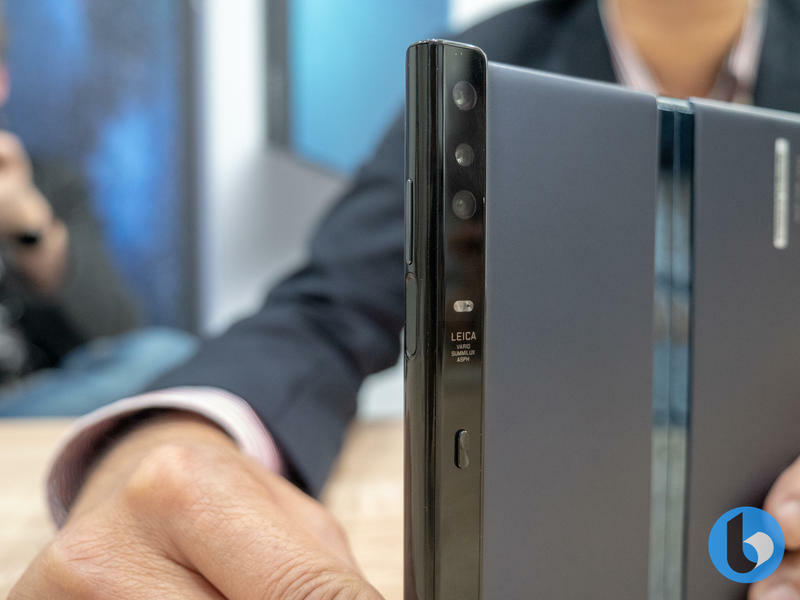 Featuring a brand new 21:9 4K HDR OLED display and triple camera, the Sony Xperia 1 promises the best of all the different divisions that Sony has (from entertainment to TVs and more), in one neat package. 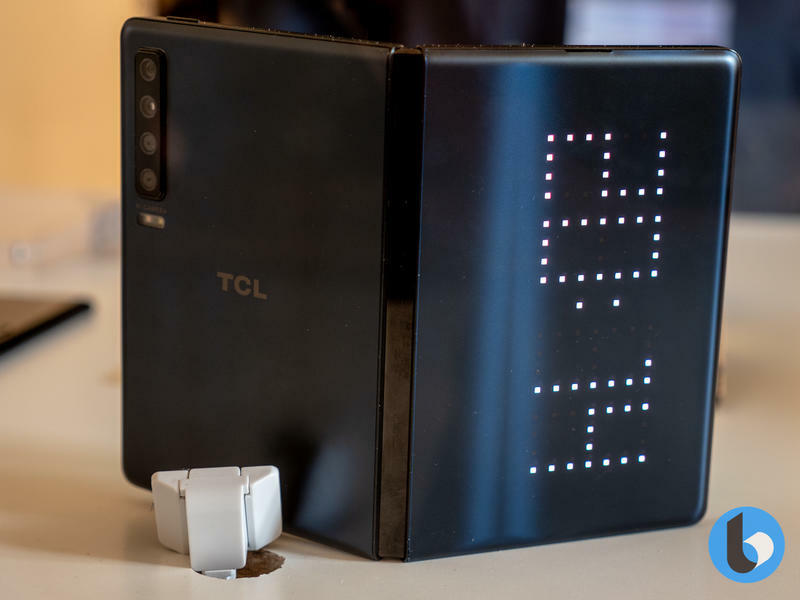 We didn't get to try out the software fully, but we have high hopes for this promising device. 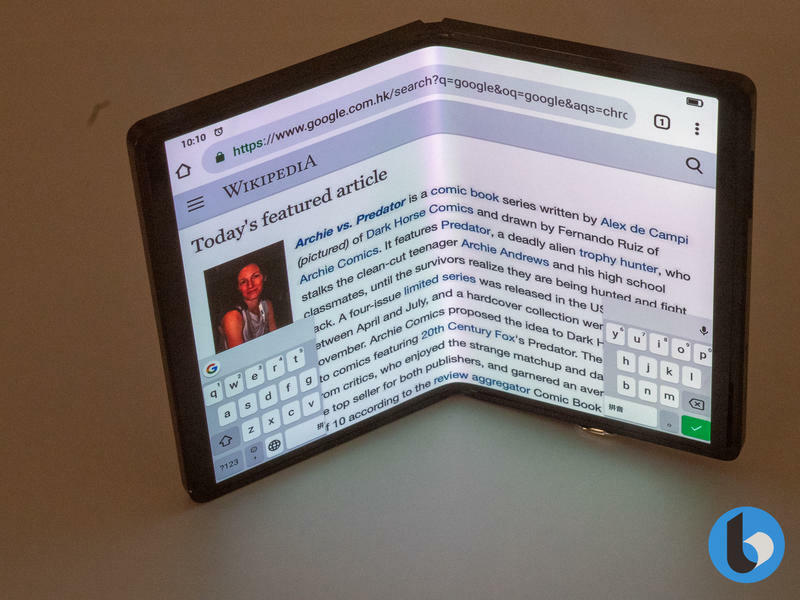 Foldable phones might seem like the most obvious use case for flexible displays, but innovation comes in many forms. 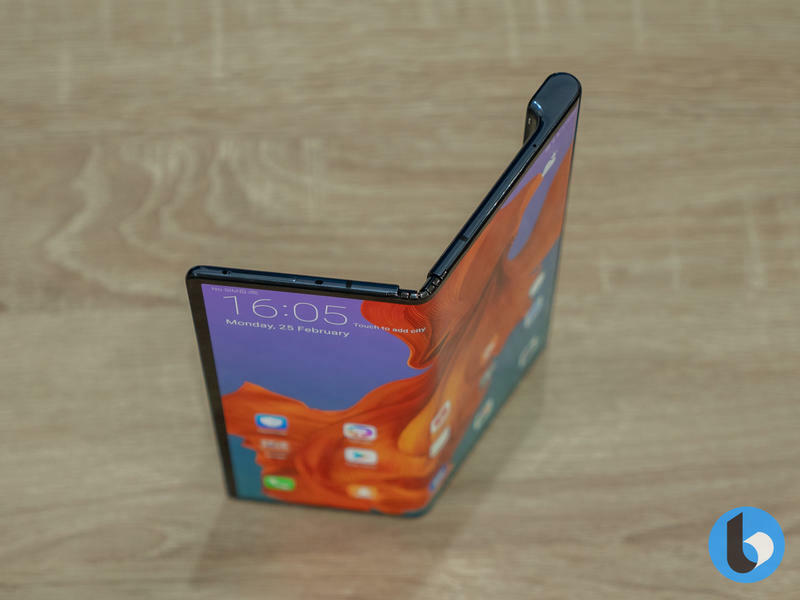 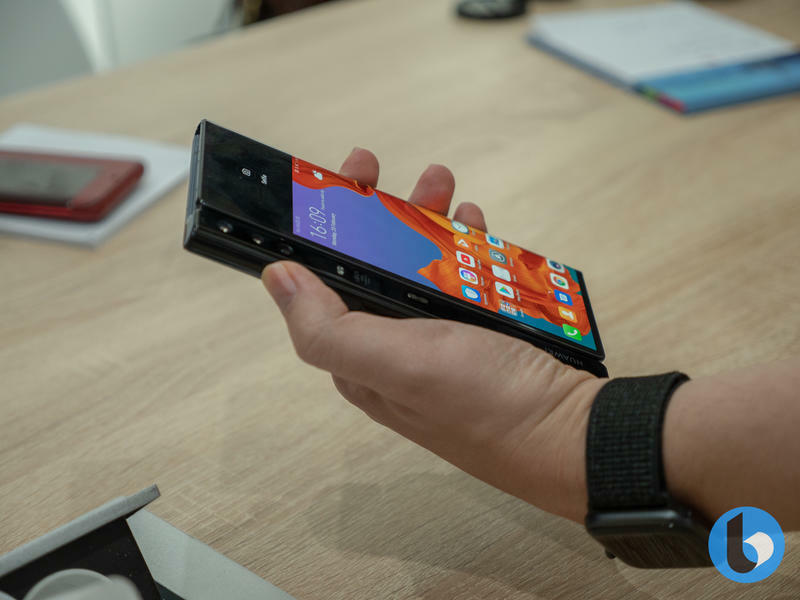 TCL's new Dragon Hinge concept showcases a world of crazy future phones, tablets and watches, all using flexible displays and the Dragon Hinge system. 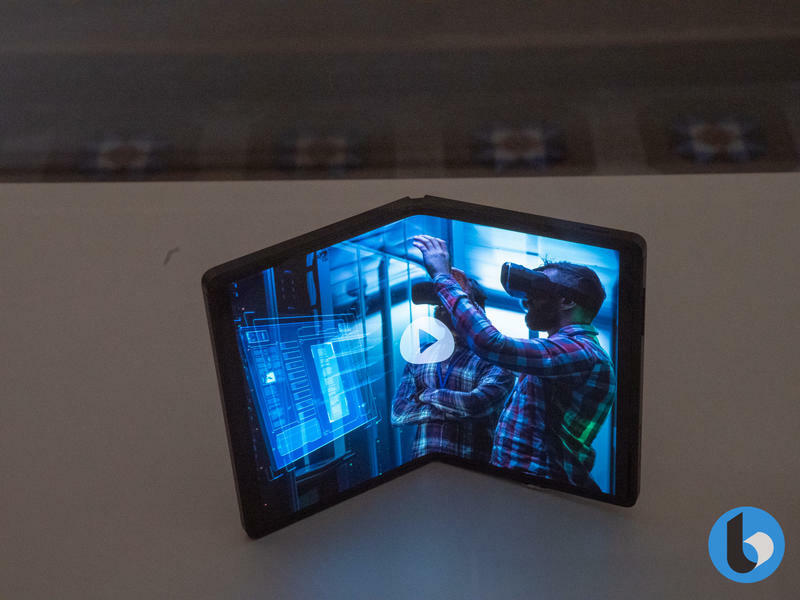 As far as a foldable future goes, these concepts showcase a very bright future that could be coming as soon as 2020. 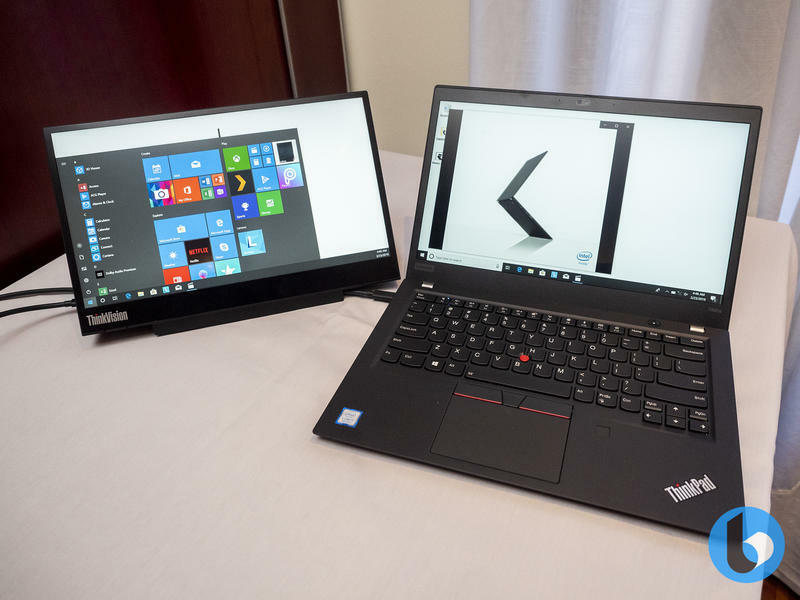 Travelling can be a chore, especially when you have to leave the comfort of your home office, but Lenovo has a solution that's a must-have for every avid traveller. 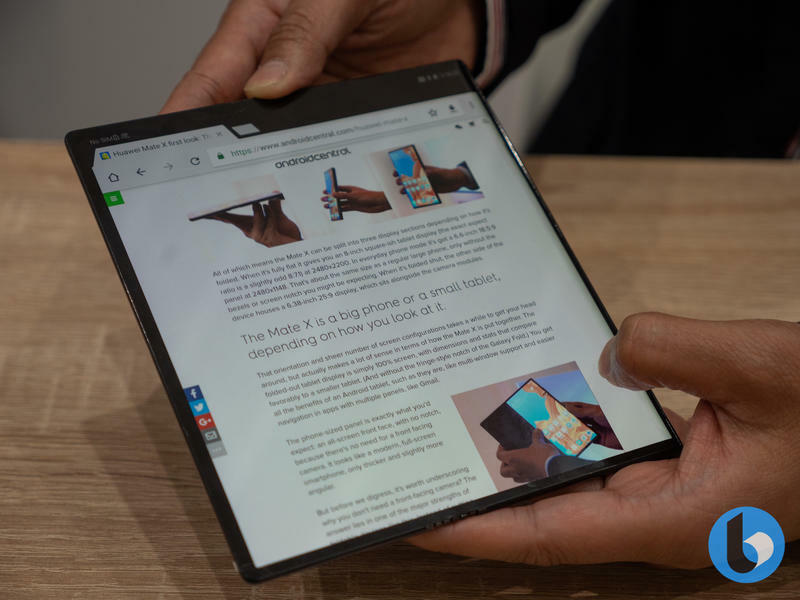 The 14-inch Full HD display is vibrant, ultra-thin and easy to transport (thanks to the thin case), and at $249, it's an easy item to buy and throw in your bag. 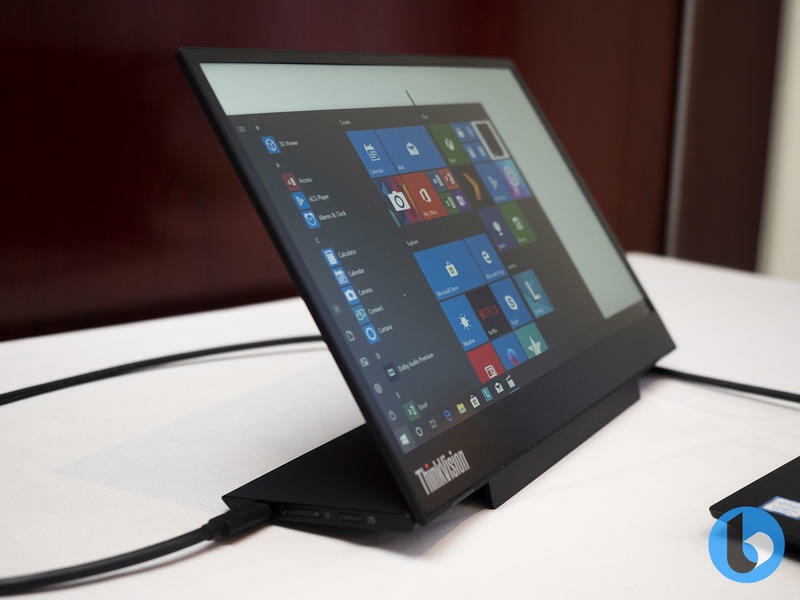 As someone who travels an awful lot, the Lenovo M14 Mobile Display will have a firm place in my bag at all times. 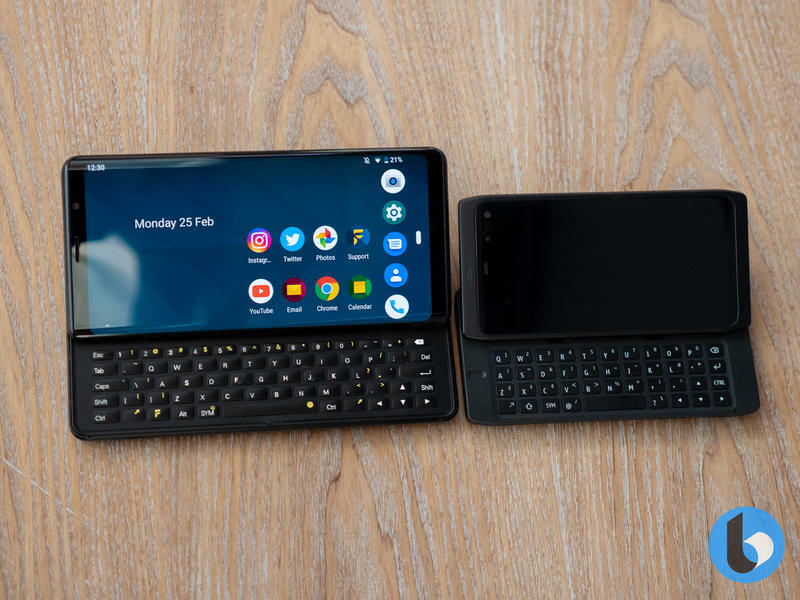 Working on the go has never been easier! 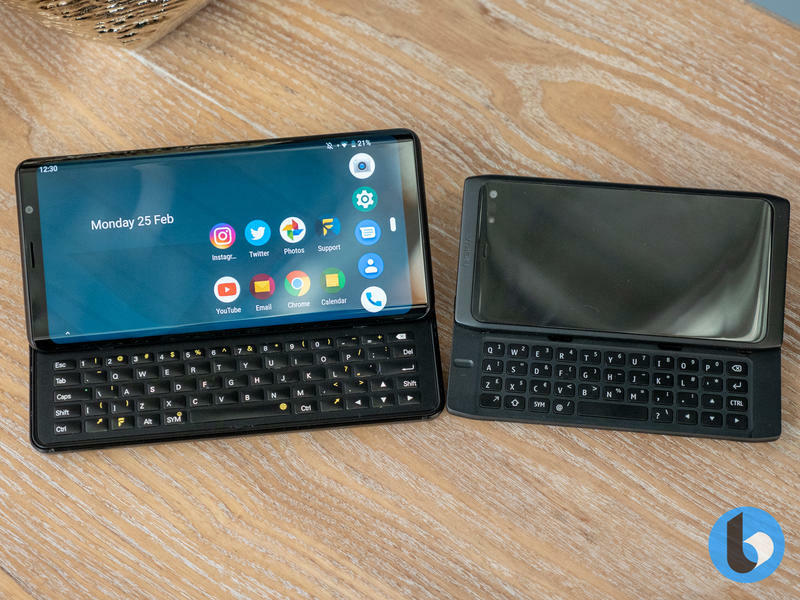 Want a keyboard? 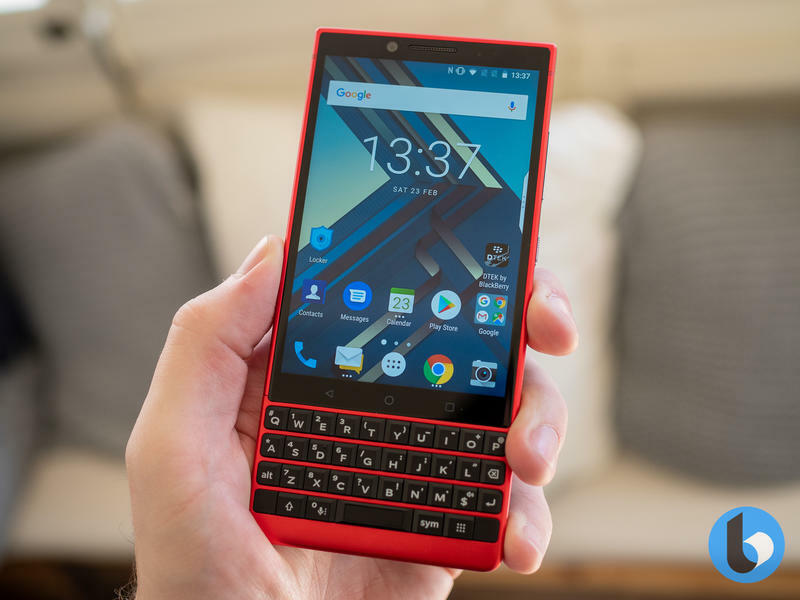 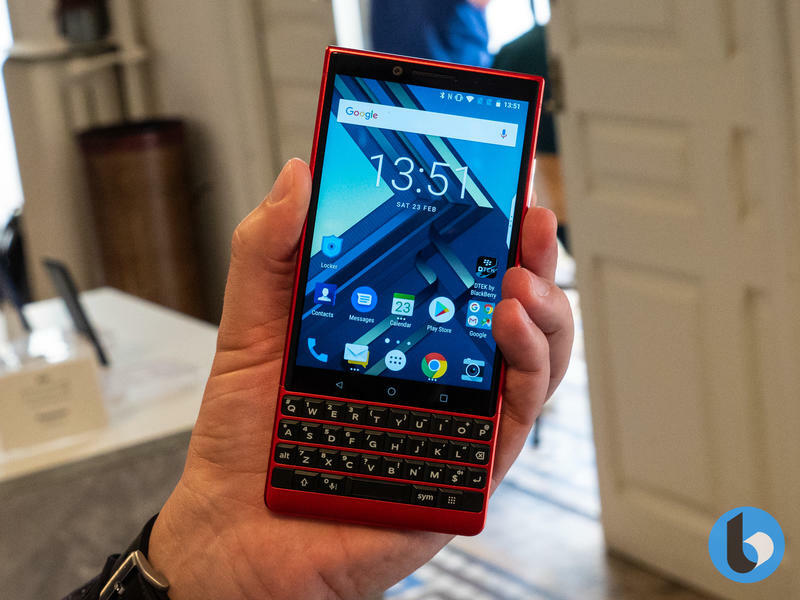 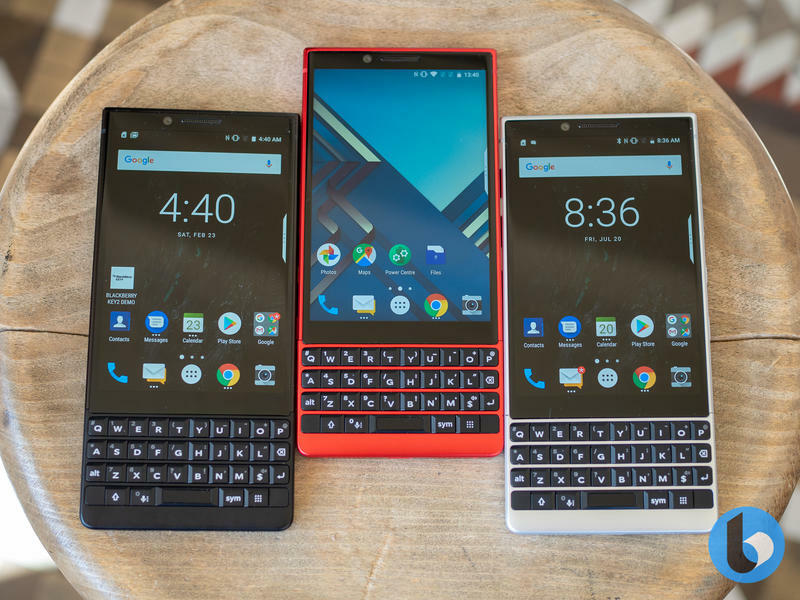 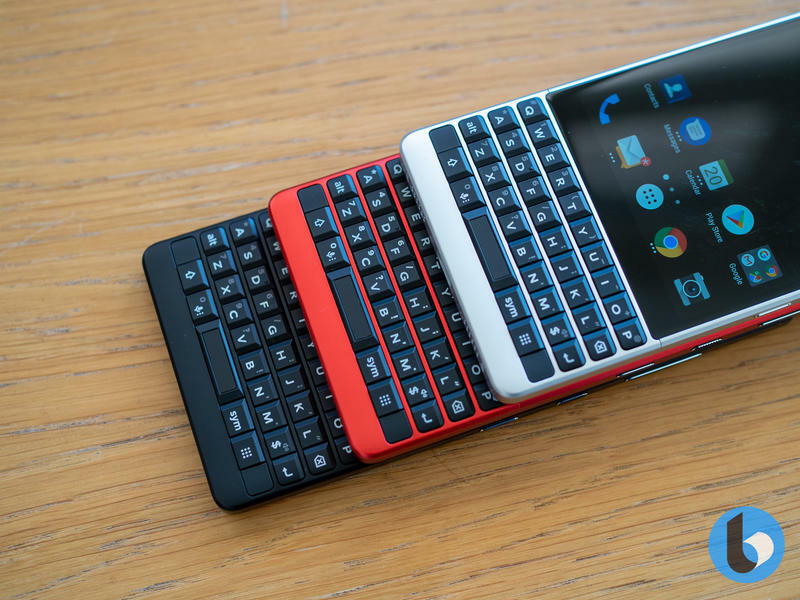 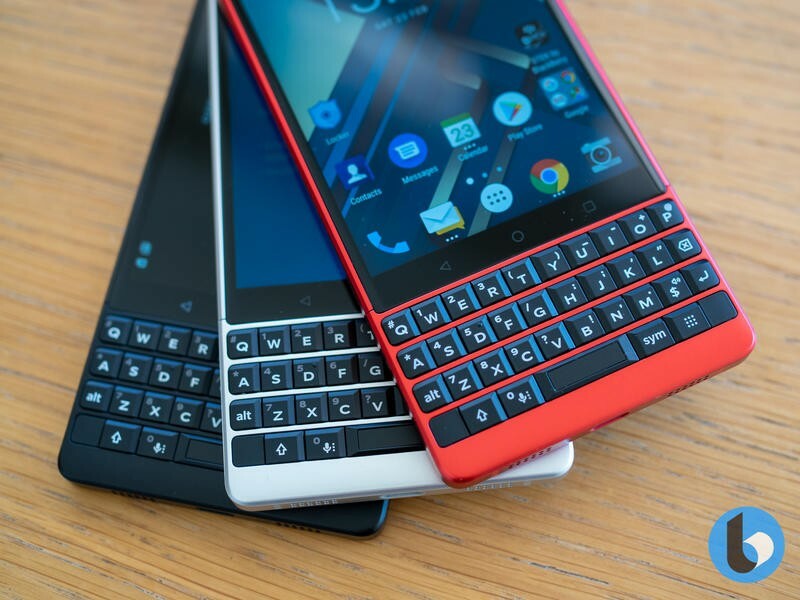 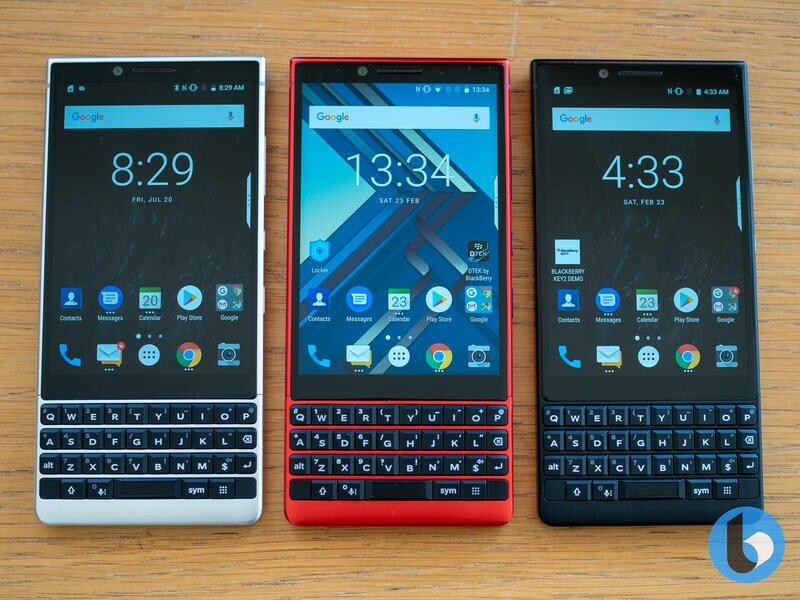 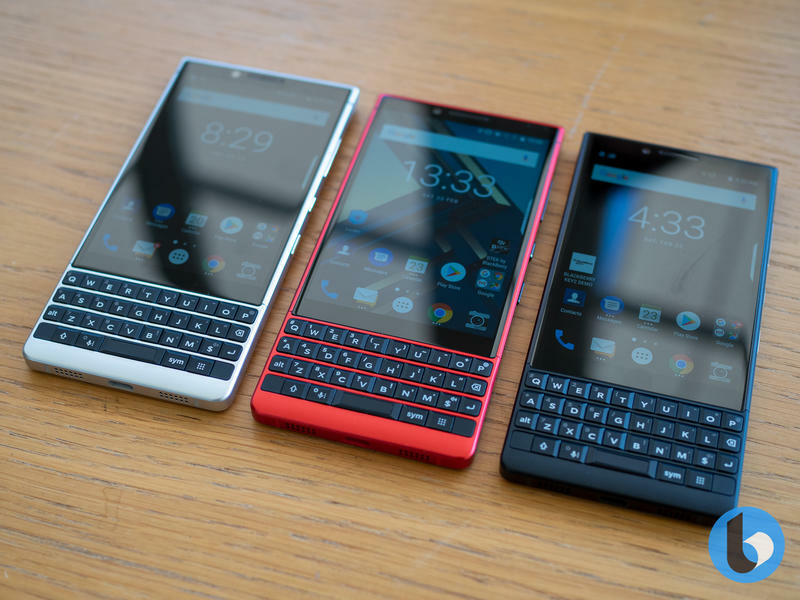 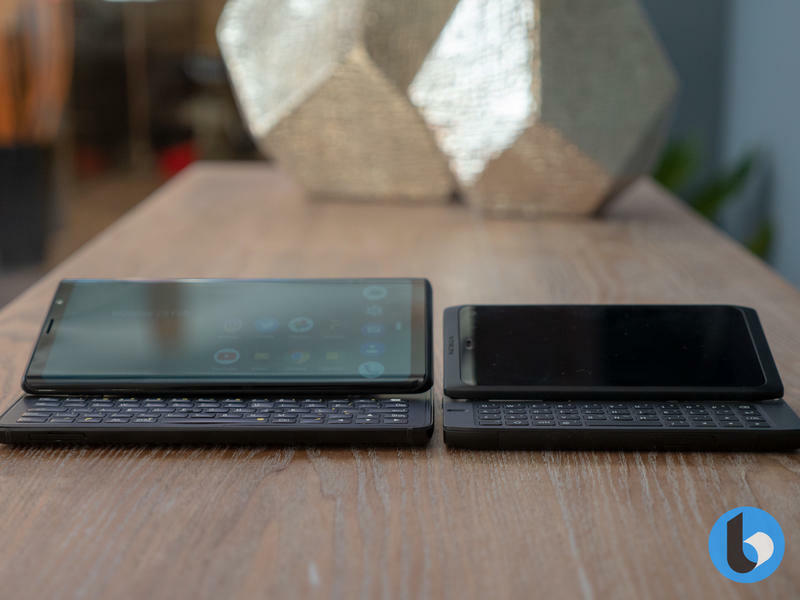 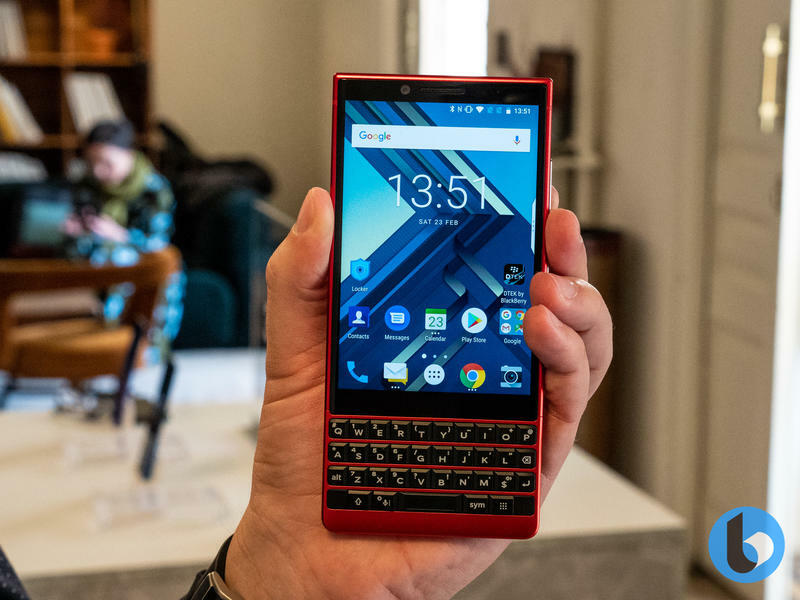 BlackBerry has you covered as the only company putting out keyboard phones. 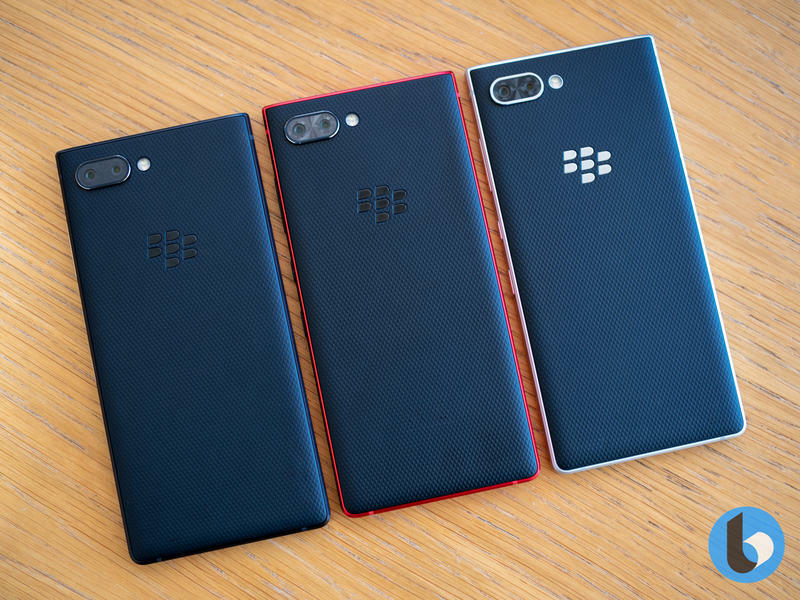 Not content to be left out of the MWC fun, BlackBerry dazzled us with the BlackBerry KEY2 Red Edition. 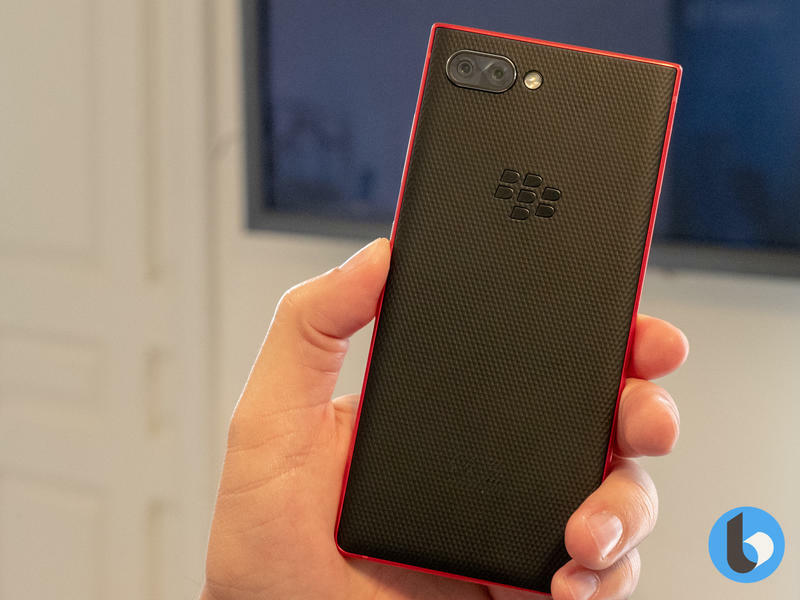 This limited edition color run adds a beautiful paint job to an excellent device, and the result is the phone that any BlackBerry fan will lust over. 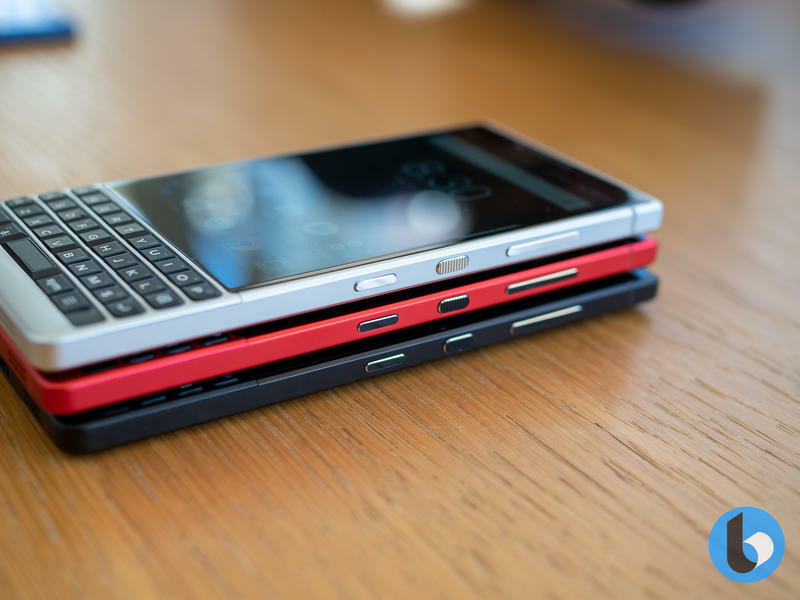 It's limited edition but if you've been eyeing up a BlackBerry, there's no better device to buy. 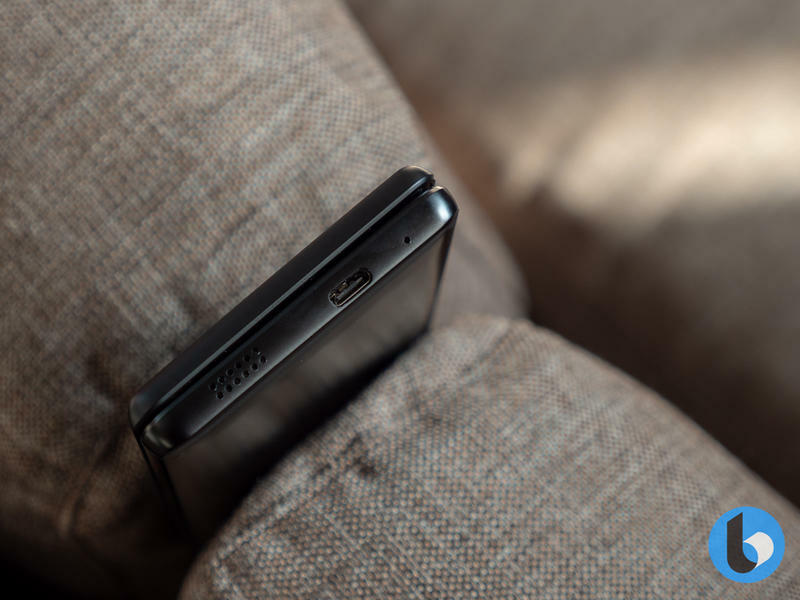 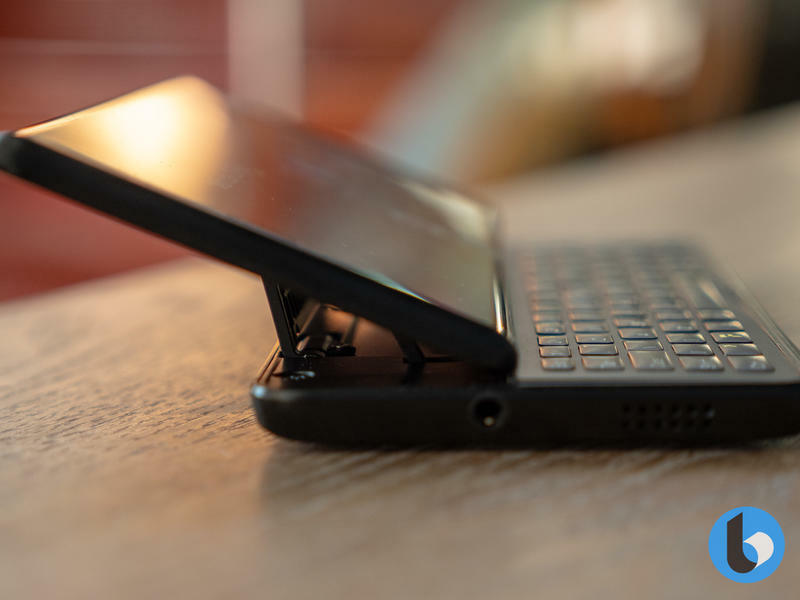 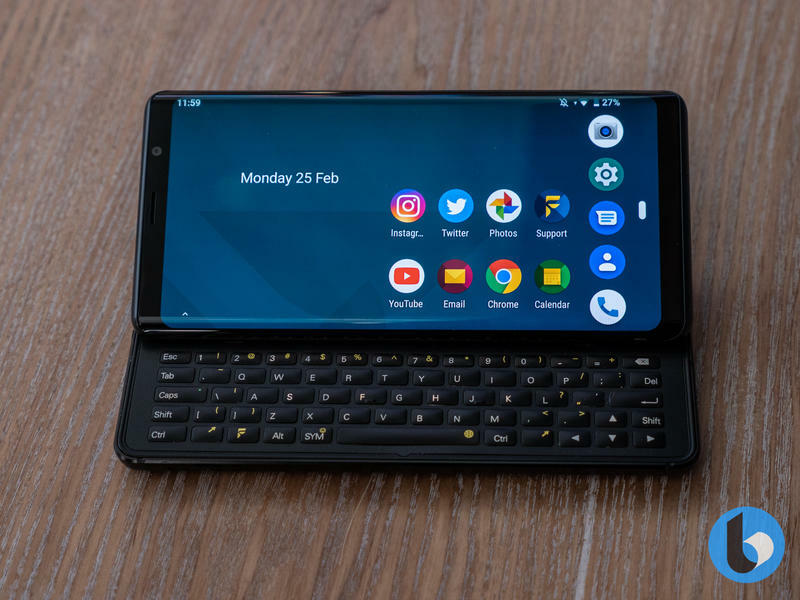 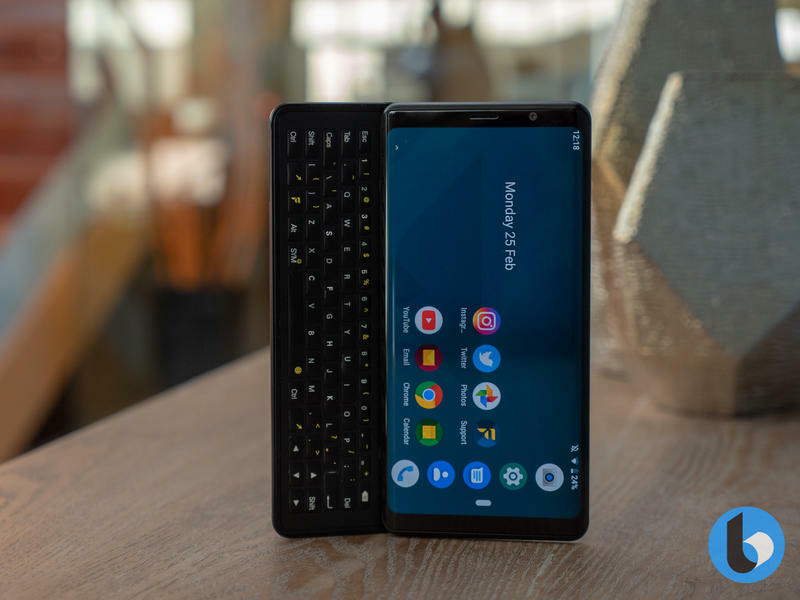 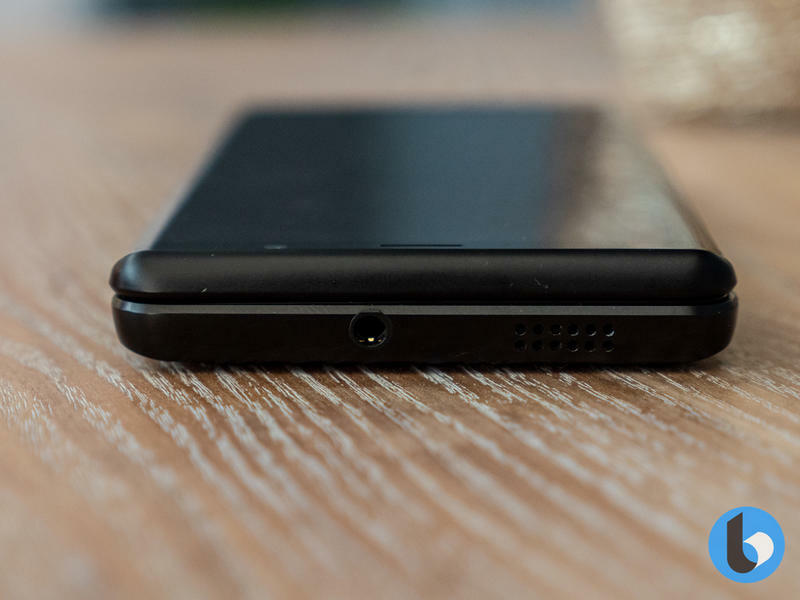 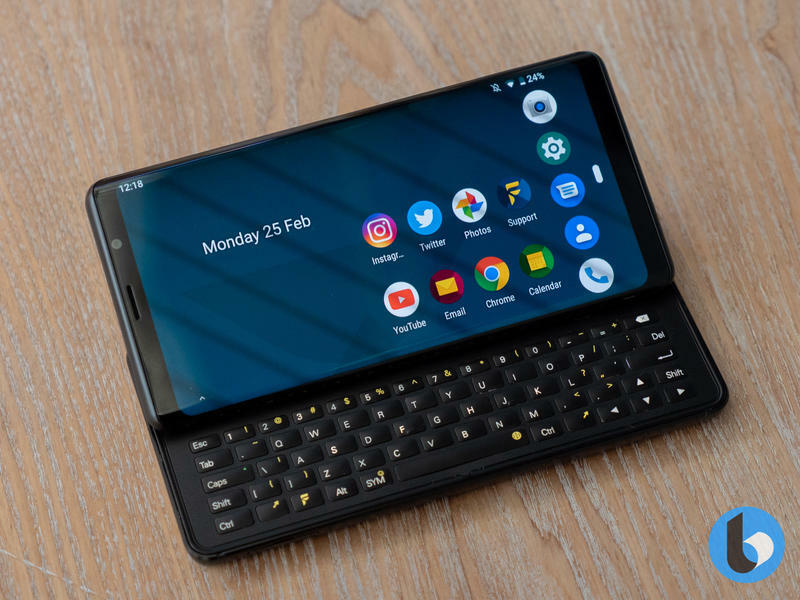 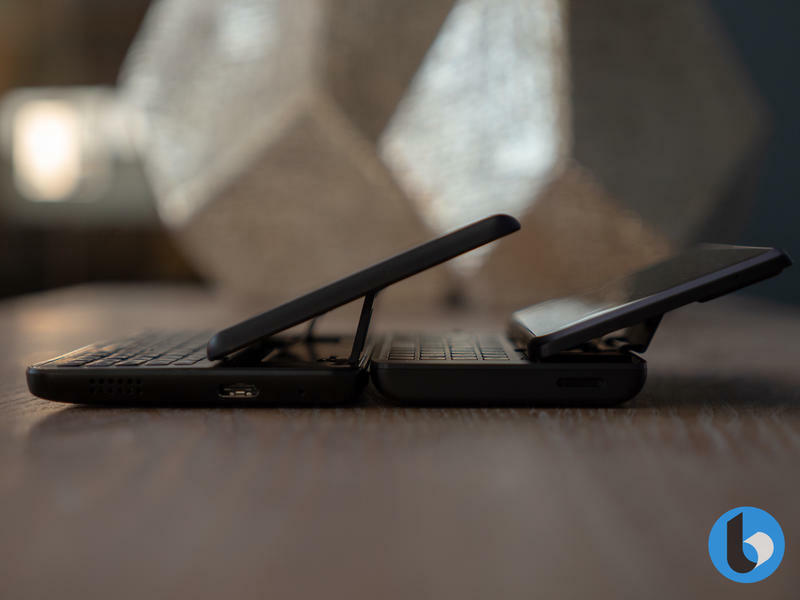 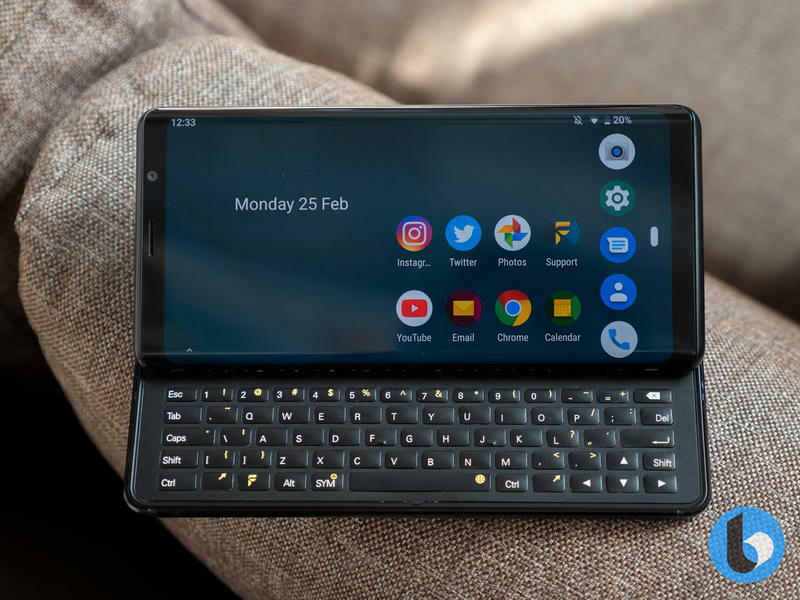 However, if a keyboard beneath your screen doesn't float your boat and you'd rather have a phone with a keyboard that doesn't get in the way, this London-based startup has you covered. 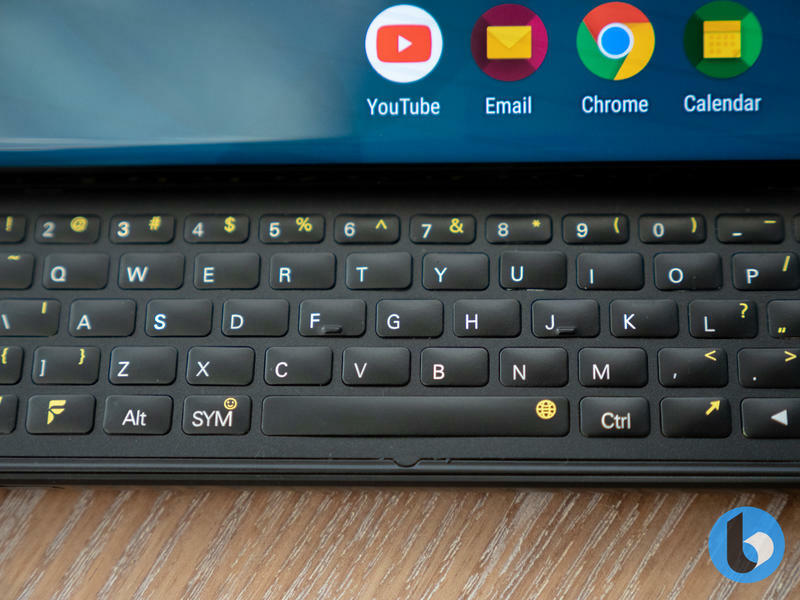 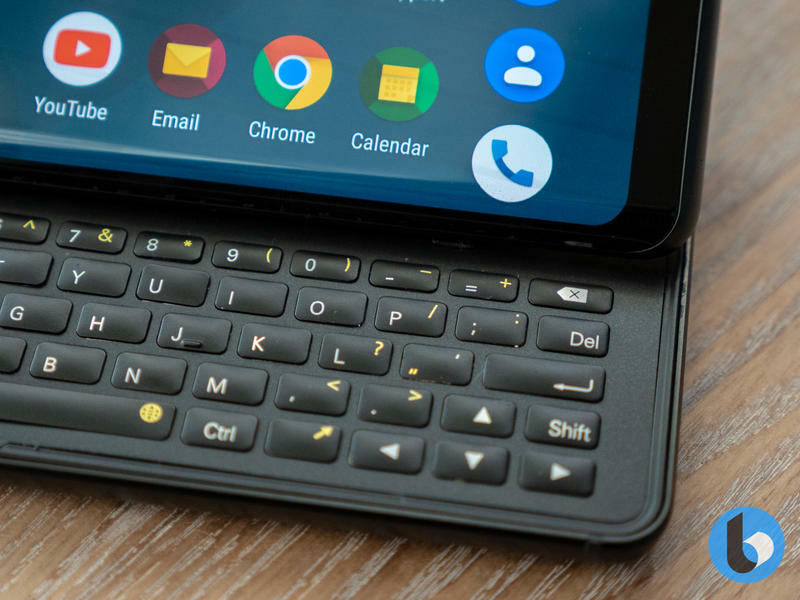 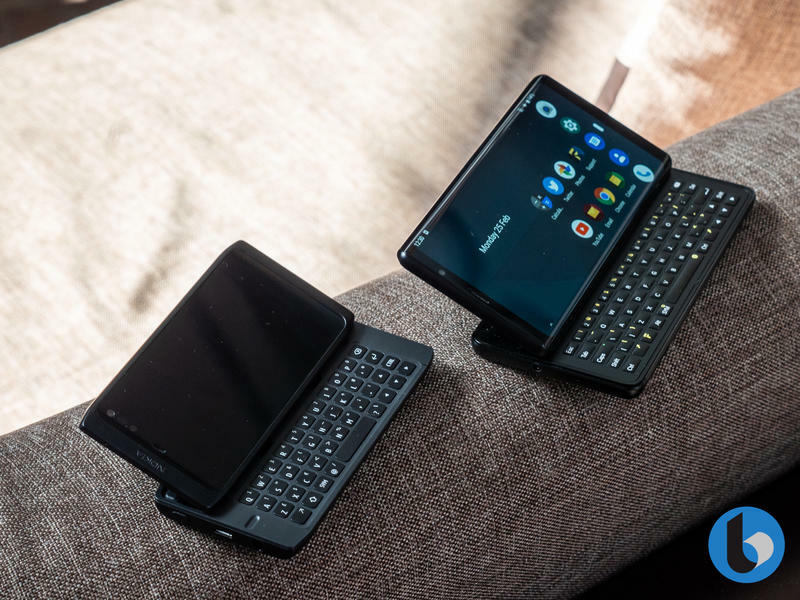 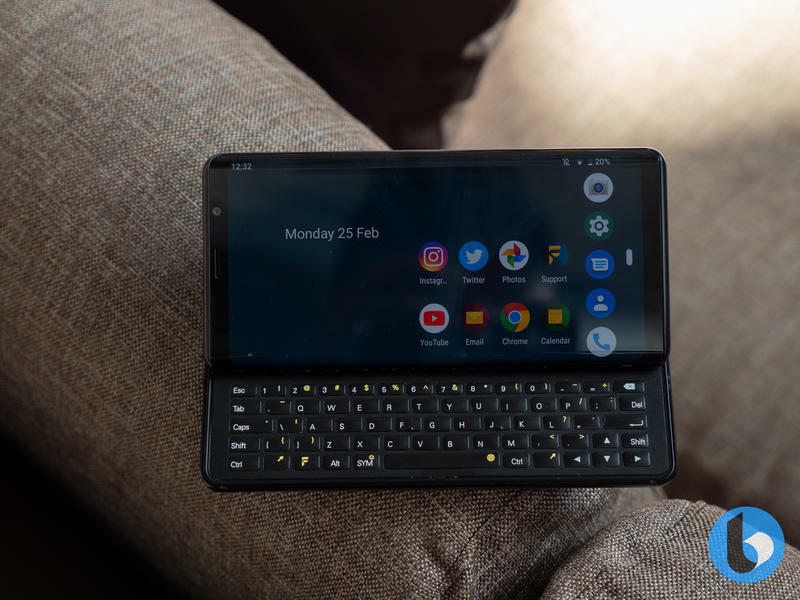 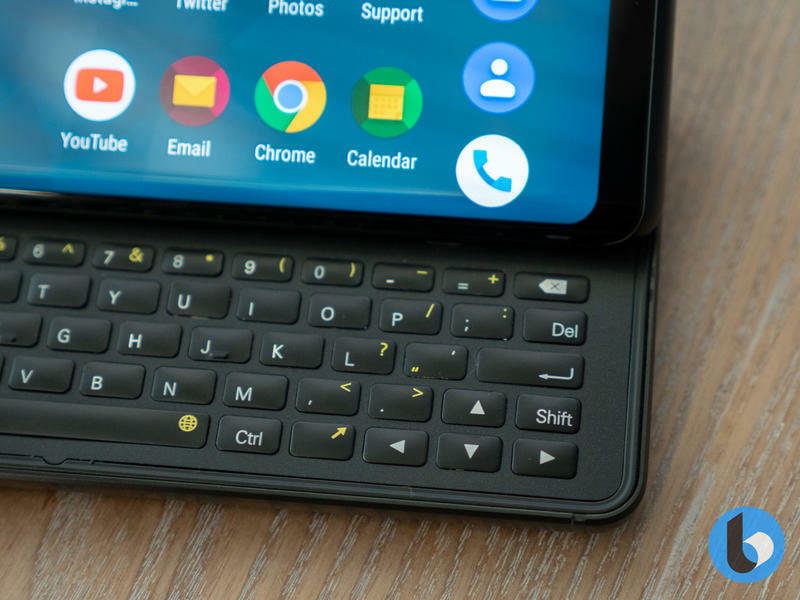 The F(x)tec Pro1 is the spiritual success to the Nokia N900, but brings a gorgeous five row keyboard, excellent specifications and a large 6″ AMOLED screen. 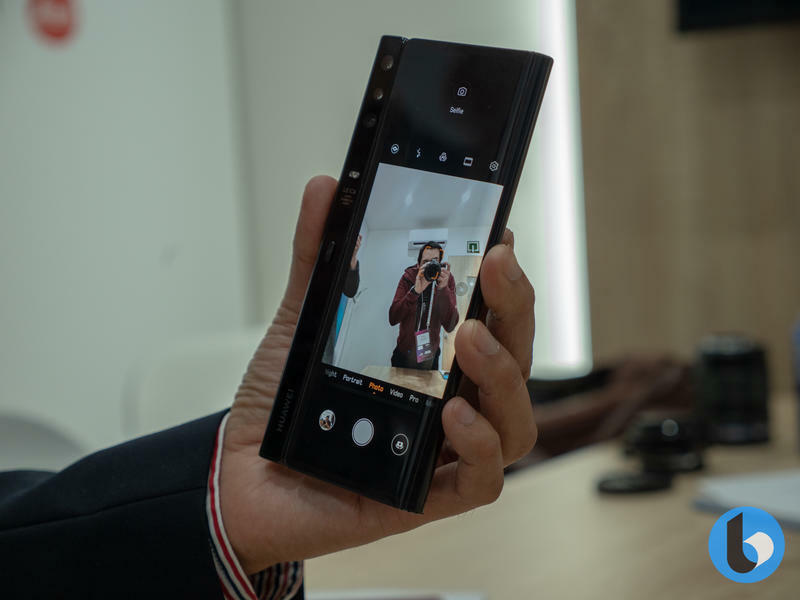 MWC 2019 ended up being one of the busiest shows in recent years, as we finally saw companies deliver the innovation we've been waiting for. 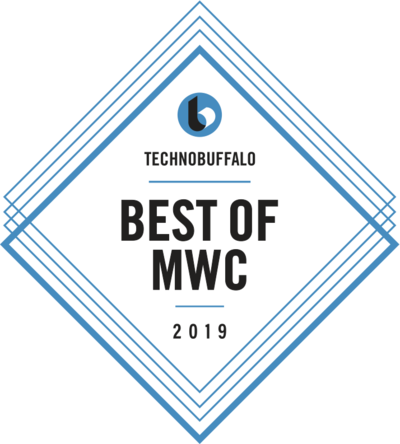 Every product on our list was deserving of our Best of MWC award, and we can't wait to use them more as the year progresses to see which truly ends up being the Best of 2019!